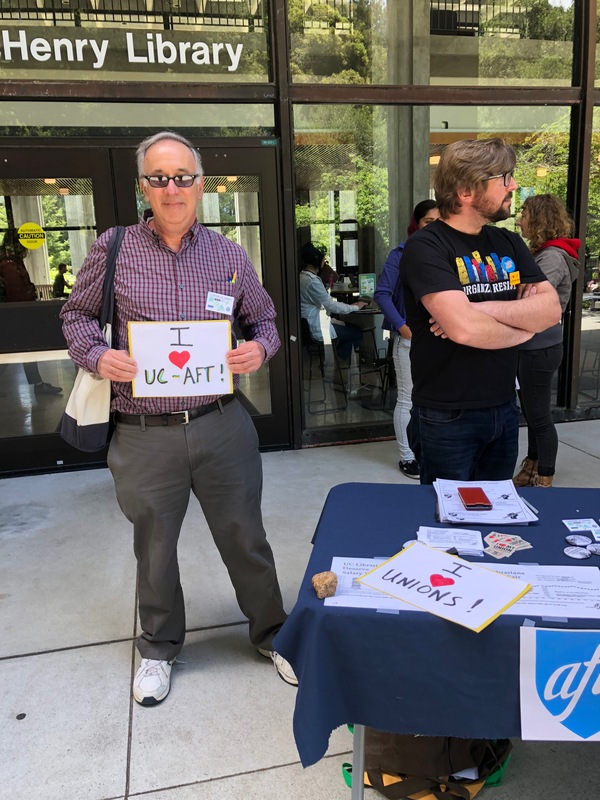 The following is a transcript of UC-AFT’s salary proposal, as read by UCSD librarians Laurel Mcphee and Dominique Turnbow, with contributions from UCD librarian Adam Siegel. Good morning. 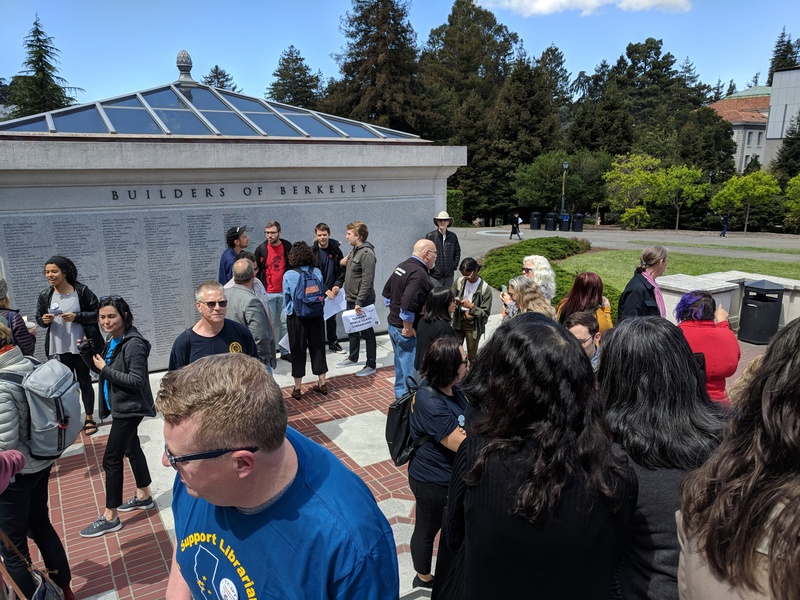 I’m very grateful to have the opportunity to be here today, making this presentation on behalf of all Unit 17 members, the librarians of the University of California. My name is Laurel McPhee, and I’m the Supervisory Archivist here in the Special Collections & Archives program. My co-presenters this morning are my colleagues Dominique Turnbow, from UC San Diego, and Adam Siegel, from UC Davis. Today we’re going to talk about salary, and present a concept that outlines our goals for a revision of Articles 13 and 33, regarding the duration of the agreement. 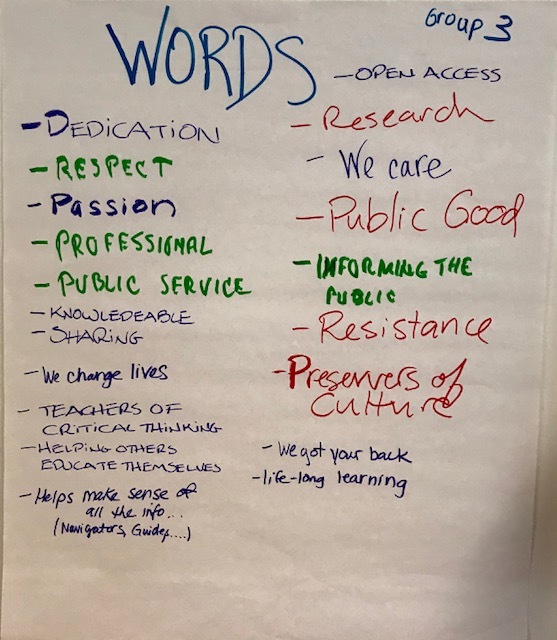 We do not have a formally drafted new Article 13 to pass, as our strategy is to start with this oral concept, outlined here for you today, then work with you towards mutually agreed upon new language. 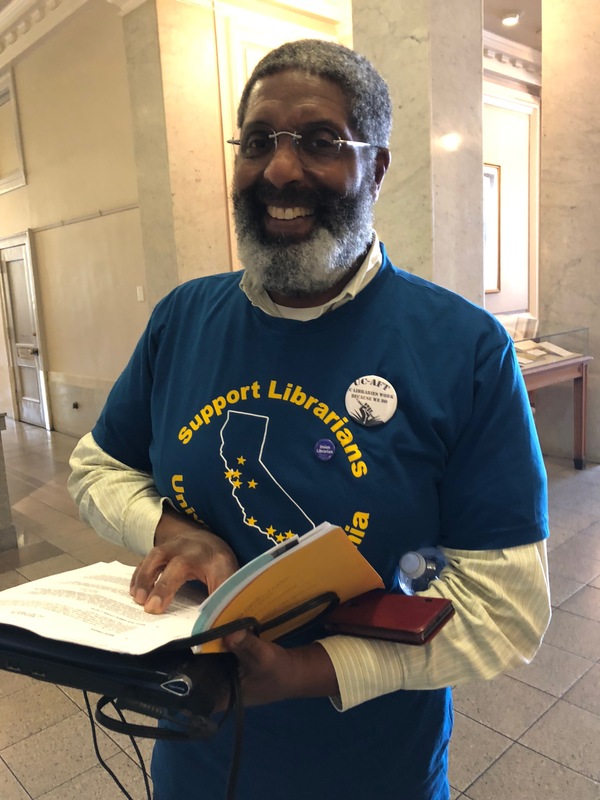 Today I’m going to propose a salary increase that we believe, based on a comparative analysis and an examination of the cost of living in California, represents a step forward towards more appropriate compensation levels for librarians. 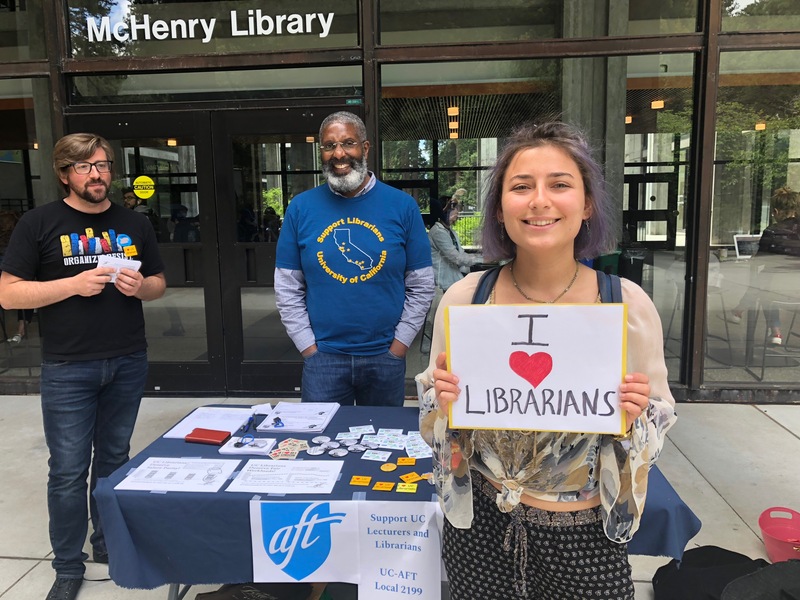 Librarians are academic professionals who keep our libraries, the essential beating hearts of our campuses, impactful and relevant to the University. I’m going to propose how that salary increase can be distributed over the length of a new contract. 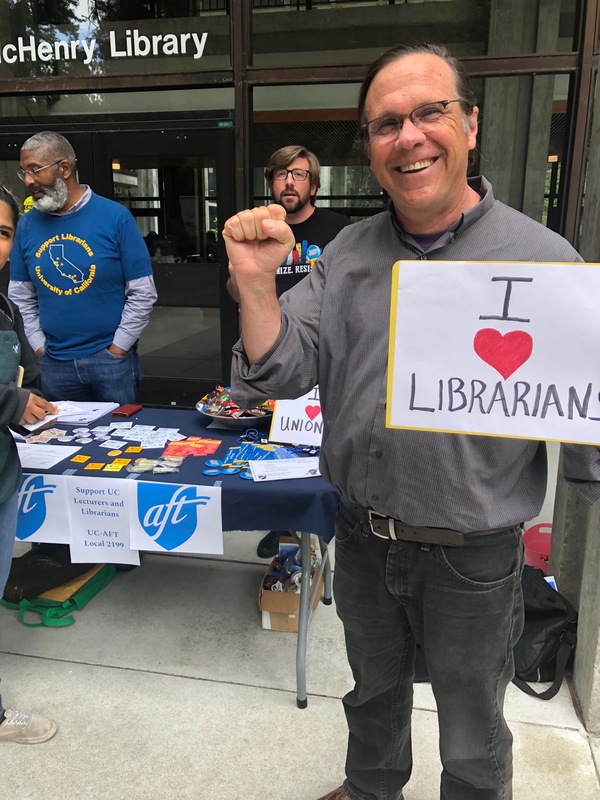 Then Adam is going to propose a change to our schedule ranks and columns: how we can best compensate librarians at the peak of their careers, while also recognizing promotions at the lower end of the spectrum, as librarians make the transition from the Assistant to Associate ranks. In front of you is a small packet of materials that I will refer to in my comments, so please do keep that in front of you and ready for consultation. 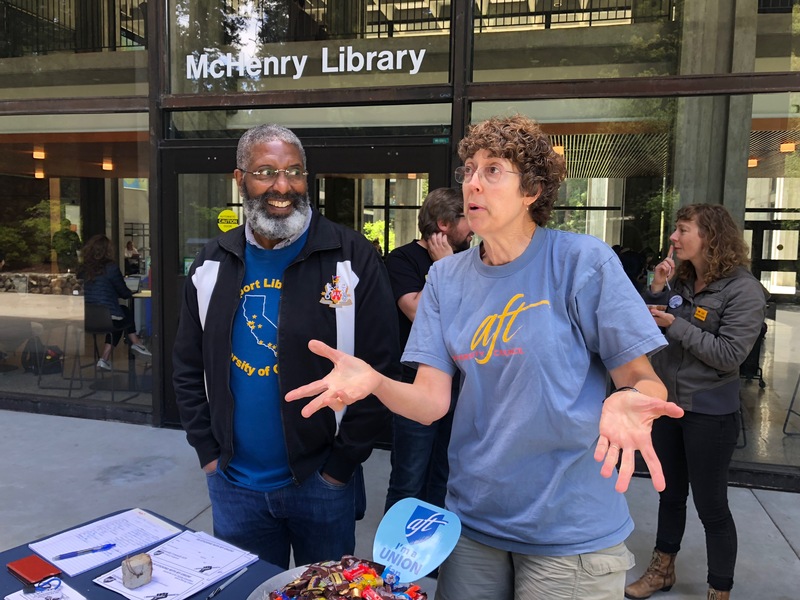 If you’ll humor me for a few minutes and take a short trip back in time, we’re going to start our discussion not by talking about where UC librarians are now, but where they were a few decades ago. [Slide 4] I was recently processing the papers of a faculty member who had served on a search committee for a Collection Development Librarian in 1977, and found the original job description. The posting is copied for you in your packet—please take a moment to find it and take a look. The time is 1977. The place is UC San Diego. I was struck by many of the differences between then, and now. The posting describes a young, growing, and vibrant campus. The total campus student population was 10,000 students. 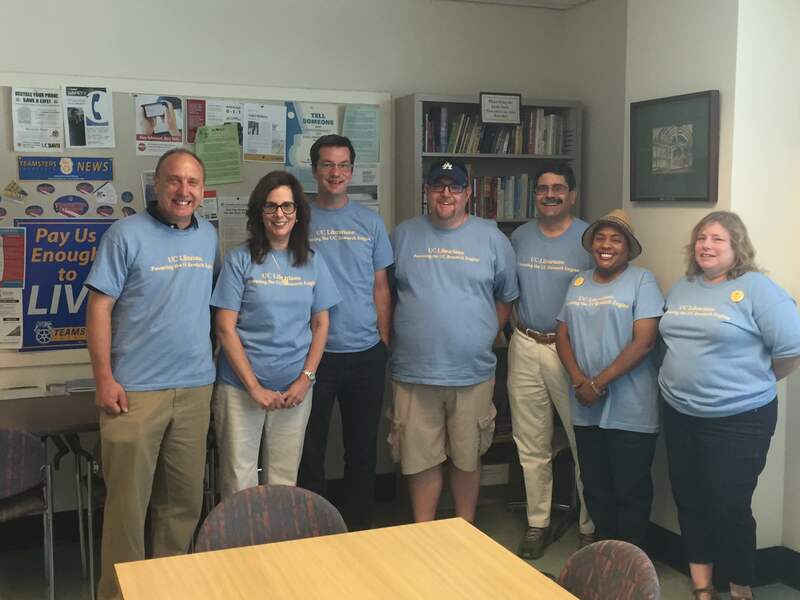 (The Chancellor’s current enrollment goal for UC San Diego is 40,000 students). 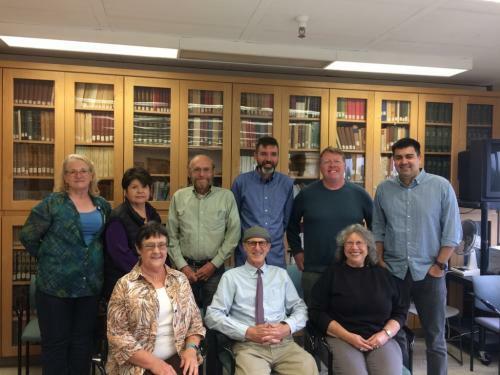 The Collection Development librarian’s role was limited to supporting collections in a very targeted area, with the addition of liaison work in one subject area (which contrasts significantly with the load of our current collection strategists). Some experience in the field was preferred. And the starting salary was a minimum of $21,000. 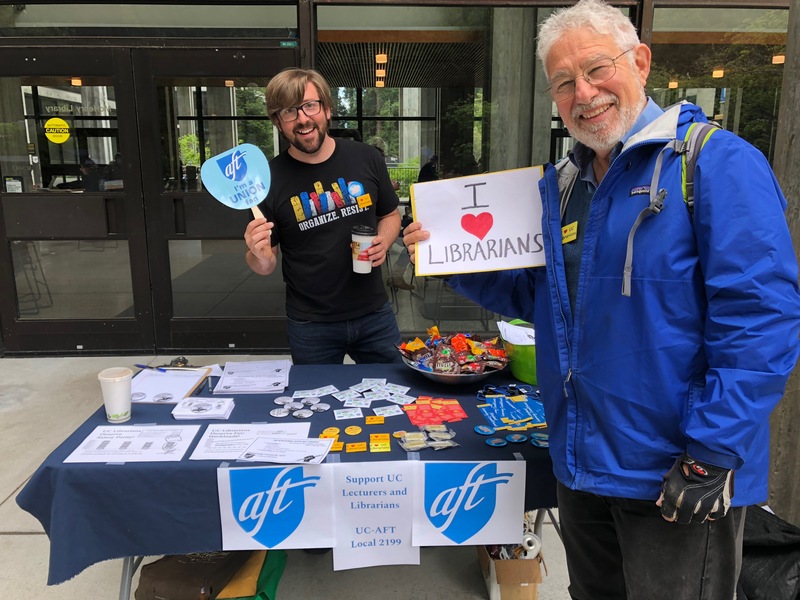 To put that in context, it may help to remember that back in the late 1970s, librarian salaries were linked to the faculty salary schedules. As a result, when faculty received a general range adjustment, librarians did as well. In today’s dollars, $21,000 may not sound like much, but at the time, that was more than half the entire cost of a mortgage for a 2 bedroom, 2 bath home in a decent neighborhood. I know this because my parents bought their first home in San Diego in 1977 for around $35,000. Whoever got this job probably served a total community of around a couple thousand people. They may have had the opportunity to specialize in one subject liaison area. They earned slightly less vacation time then we do today, but earned the same amount of sick leave. And they had the benefit of knowing that their worth, in the eyes of the University, was at some proportional level commensurate with the value of other academics on campus. 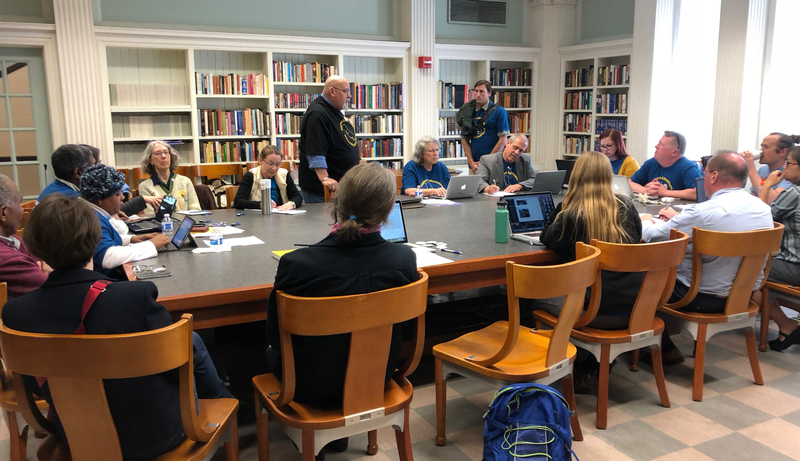 Today, UC librarians perform everything in this job description, multiplied many times over, plus new responsibilities that weren’t even imaginable in 1977. So what is that starting salary worth today? According to the United States Bureau of Labor Statistics, that $21,000 minimum salary in 1977 is the equivalent today of over $90,000. That is obviously no longer the minimum offered in UC librarian job descriptions. Our recruitments start at the Assistant level, for those without experience, at $49,000. For librarians with experience, recruitments often start at the Associate level, at $54,700. That’s over 30% less than this 1977 posted salary. And remember, $21,000 was the minimum! 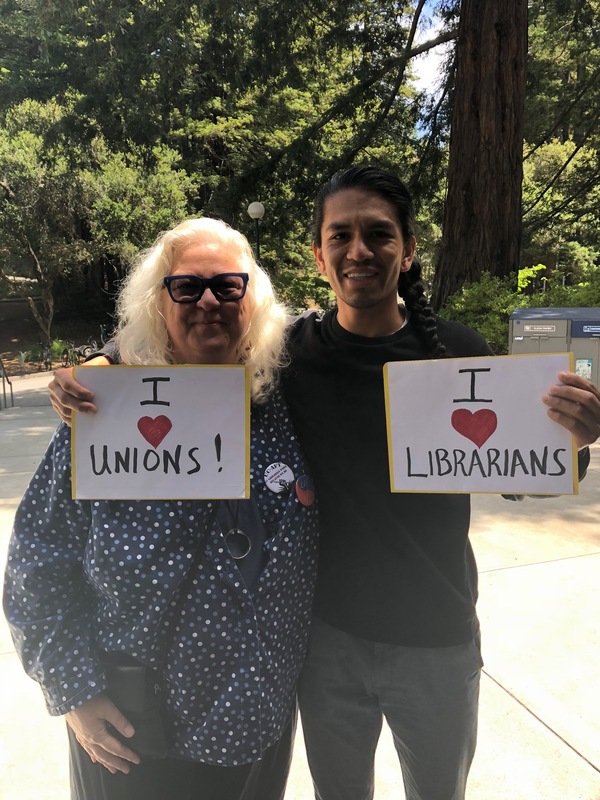 In our current salary schedule, if a librarian entered the UC system and worked his or her way up through the ranks on a normal career arc, they would hit $90,000 after about a 24-year career. And yet this is the level at which we used to directly recruit for and fill new positions. That dollar amount I quoted you from the BLS doesn’t even take into account the high cost of living in California—it just reflects average national inflation. Today, according to a 2018 CNBC analysis, California is the most expensive state to live in in the continental United States. Salary is money earned for work, yes, but it is also an expression of our value within a greater ecosystem. 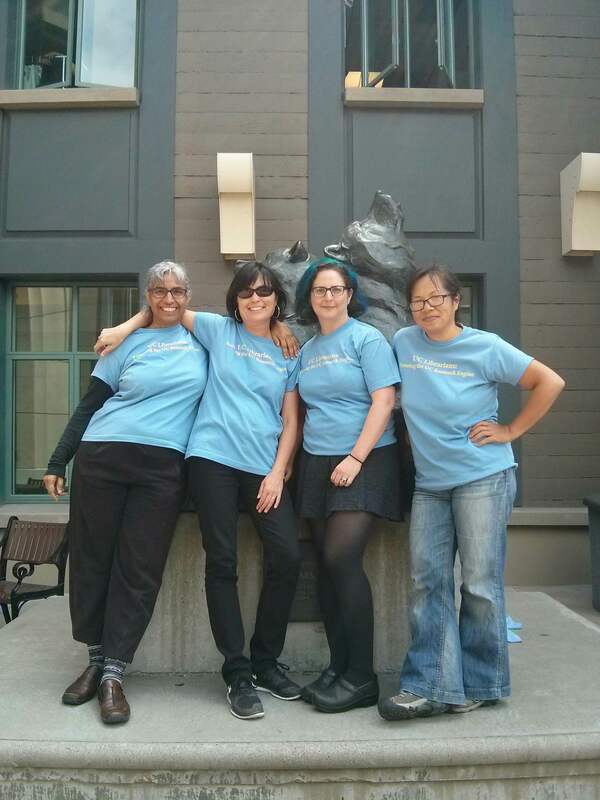 Librarianship has historically been framed as a service profession, populated by women. Though our salary tables are no longer linked to faculty, we use the exact same forms for merit and promotion; we are expected to perform with excellence at our day jobs but also excel at a national level through professional associations, committees, and task forces. 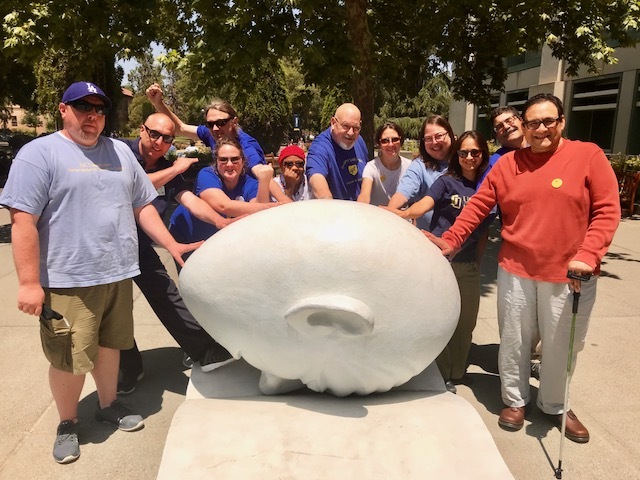 We are expected to provide service to the University, publish in peer-reviewed journals, and serve on the Librarians Association of the University of California, LAUC. 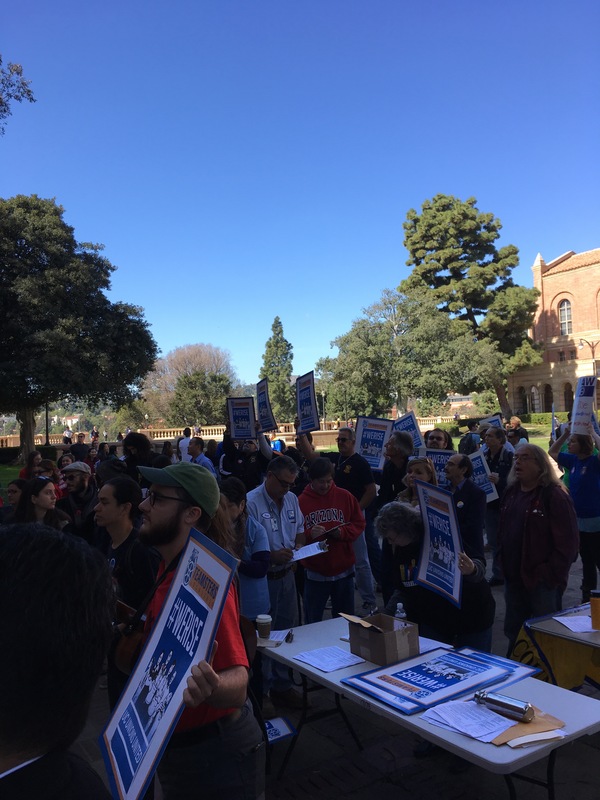 Salary ought to reflect the value the University of California, and our University Librarians, ascribe to this intellectual labor. Our last contract locked in salary gains of 8% over five years, with an additional small increase this past year. 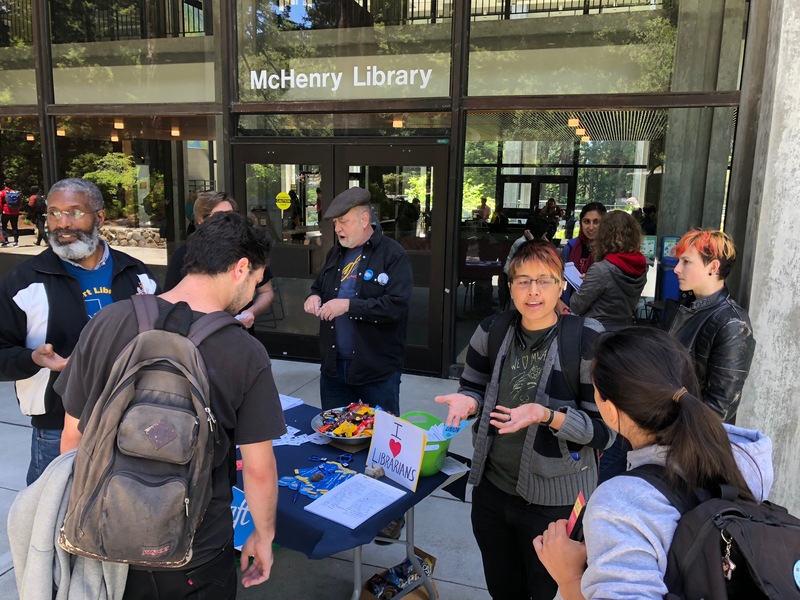 With a salary schedule that currently states entry-level librarians are worth only $49,000 per year, and a cost of living and consumer price index that fast outstripped that 8% increase, it appears that the University of California doesn’t seem to value librarians—academic appointees with master’s degrees and often other credentials—very highly. 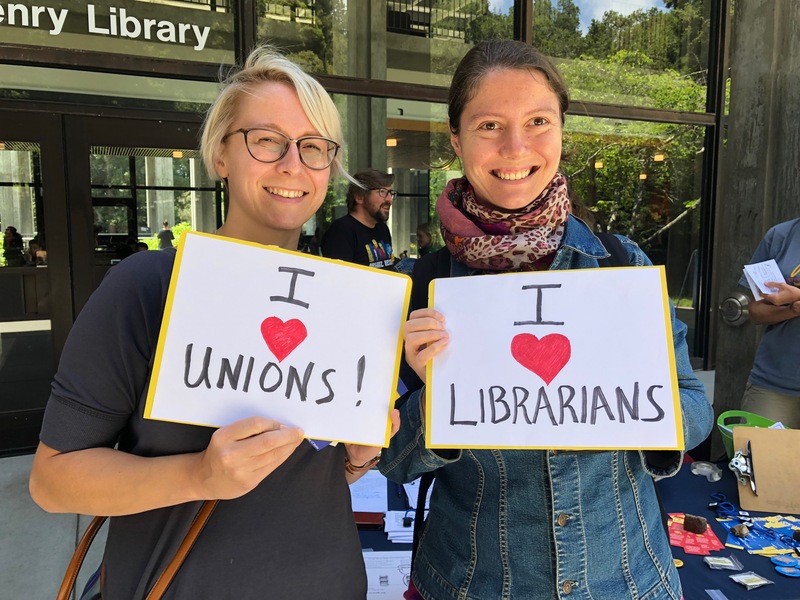 Over our last contract period, the Consumer Price Index rose 13.4% in the Los Angeles metro region, and 18.8% in the Bay Area, where the majority of UC librarians work. 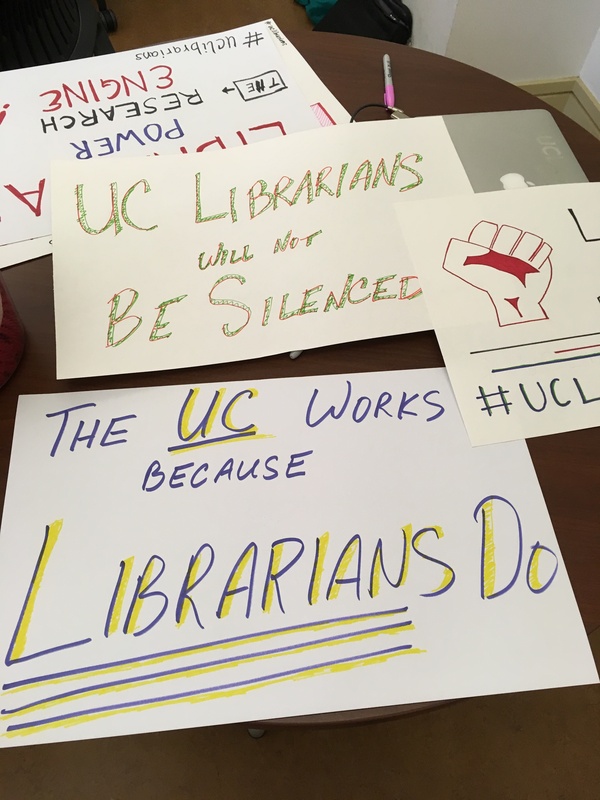 Accordingly, today, UC librarians are asking for approximately a 22-25% raise, distributed over a proposed contract length of 3 years. Since salary doesn’t exist in a vacuum, and can only be evaluated in a comparative context, let’s do some comparisons. When we first started salary analysis, we looked to the California State University system, which seemed like an obvious place to start. 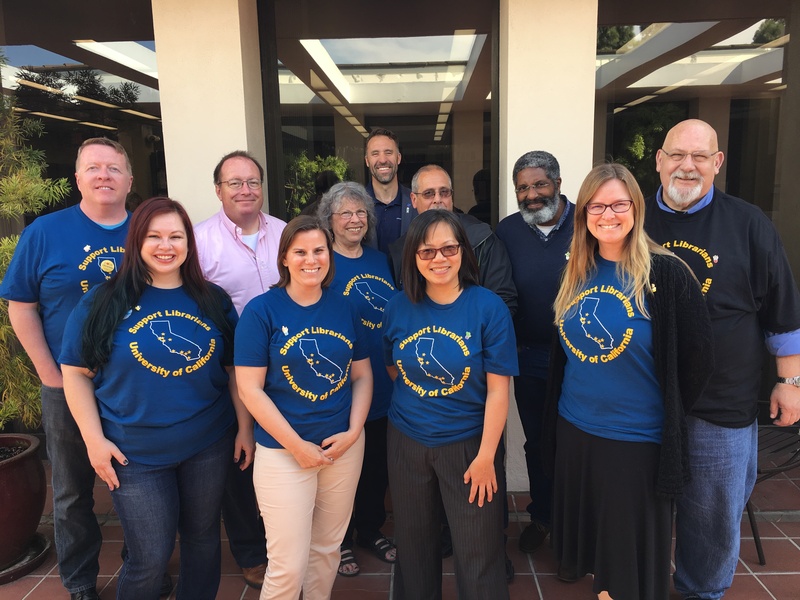 The CSUs are geographically distributed throughout California. 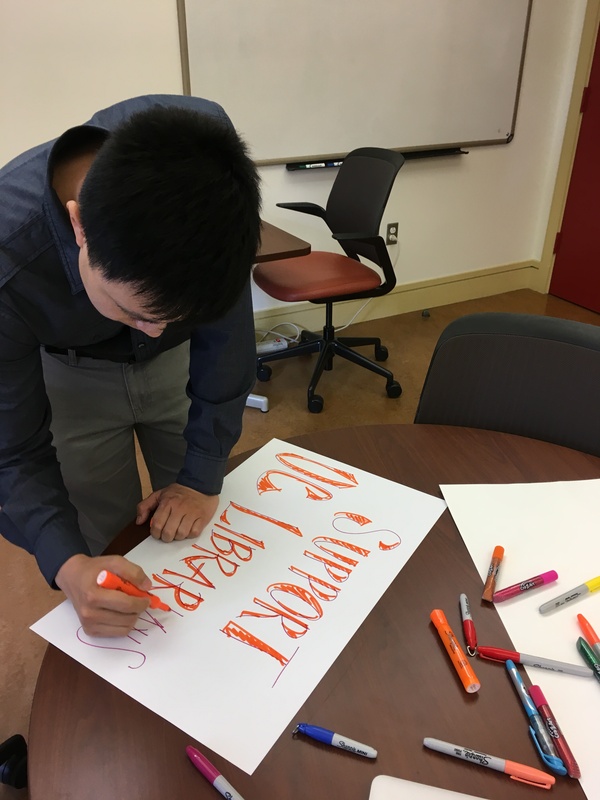 They are public, state-funded, Phd-granting institutions that serve a large and diverse undergraduate and research community. And when I compared their salary schedules to ours, I found a huge discrepancy. 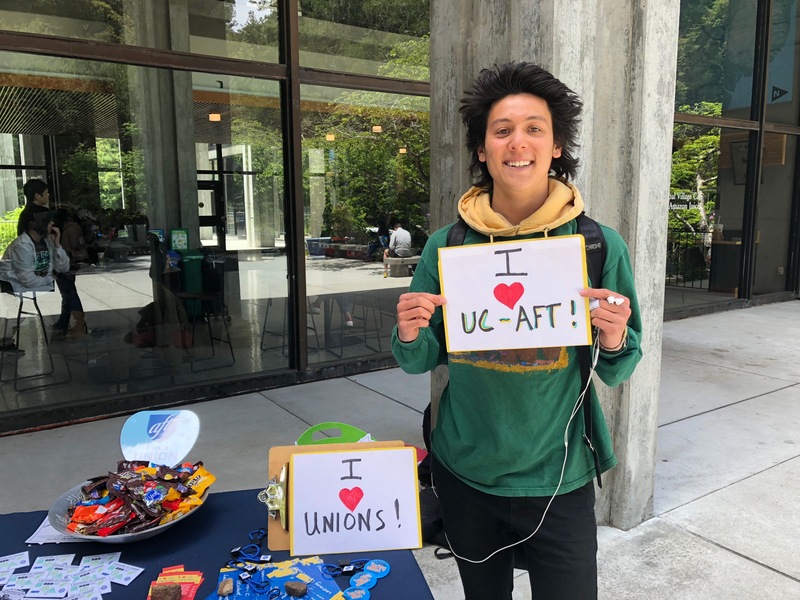 Though the CSUs offer four pay bands, or ranks, to our three, they are pretty easily comparable if you start at the Assistant and Sr Assistant ranks. Across the entry level points of each rank, there is a dramatic difference in the salary amounts offered. You can see the differences there: 37%, 32%, and 25%. Why are the UCs so far behind? 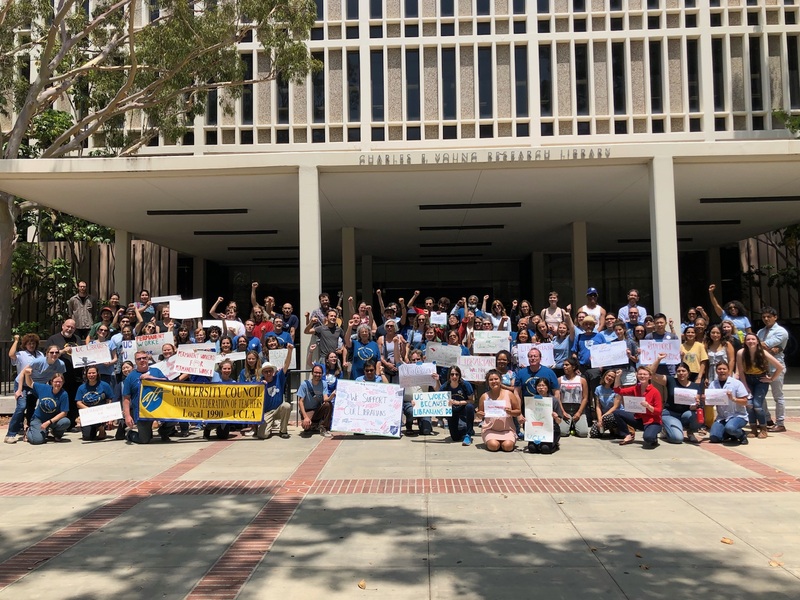 But then I was told no, the UC doesn’t consider the CSU campuses to be an appropriate point of comparison, despite seeming so similar in so many relevant ways! No one could really provide me an explanation for why, but I was told UCOP instead likes to use a grab bag of campuses they refer to as the Comparison 8 for salary analysis in a variety of fields. So what are the Comp 8? [Slide 7] Next in your packets, you’ll see a copy of a document prepared by a consultant hired by UCOP in 2014, which provides context for the use of the Comparison 8. Ok, I said, I can work with that. 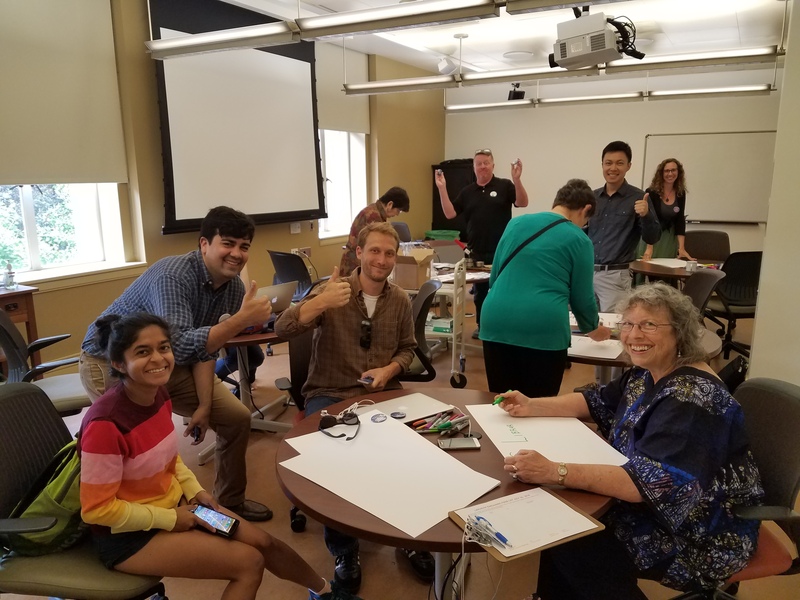 I can compare working at UCLA to working at SUNY Buffalo, or working at Berkeley or UCSF to working in Ann Arbor, Michigan. Maybe living and working in San Diego really is like Illinois. One thing I couldn’t do, however, was to include Stanford in the Comp 8, as they don’t make their salary schedules public, or include salary ranges in their job descriptions. I even reached out to a librarian colleague at Stanford, and he confirmed he wasn’t allowed to share any salary data. 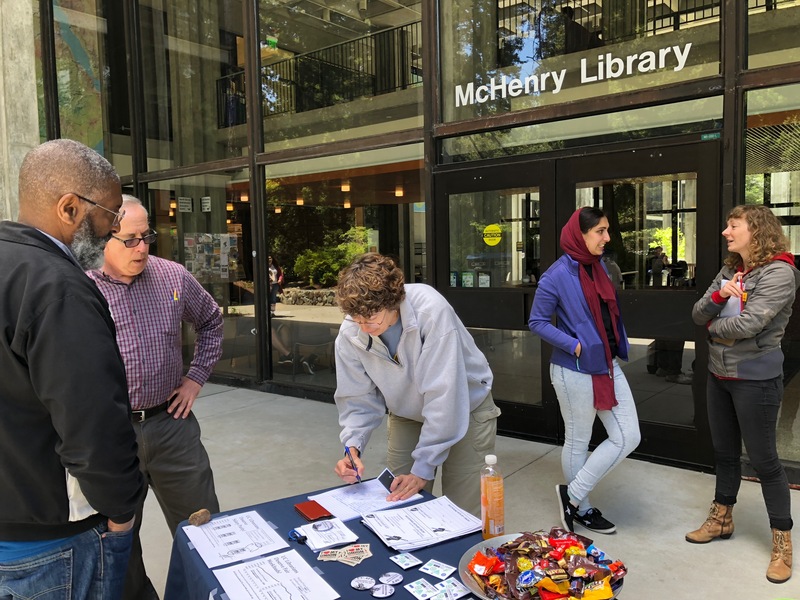 I set out to understand and compare the differences between beginning librarian salaries at the UC and the Comp 8 campuses. Now we all know that the value of a salary is based on what you can actually purchase with that salary. We’re used to thinking of these costs as a basket of goods and services—the major items being the costs of groceries, utilities, transportation, housing, and health care in any given region. But first things first: dollar for dollar, what do we find when we compare salaries with the Comp 8? 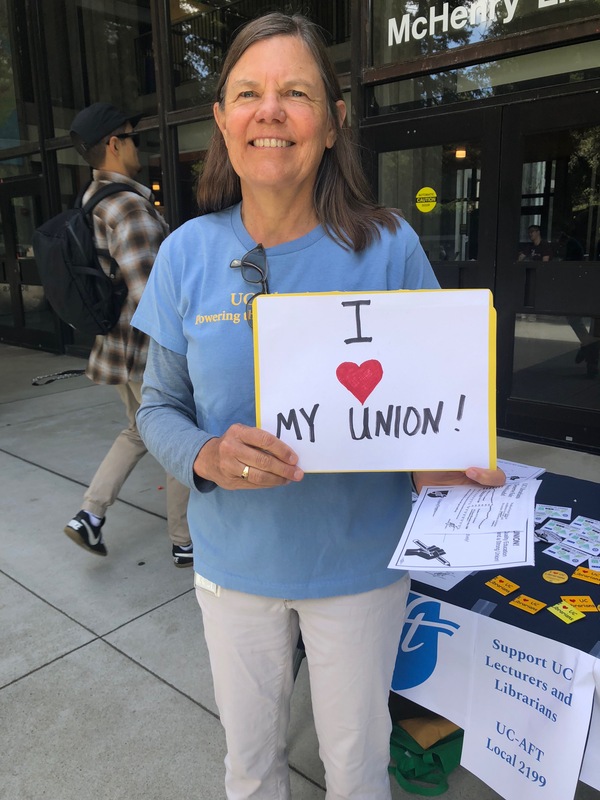 You find that of the seven campuses who share salary information, only one—SUNY Buffalo—has a lower starting professional salary than the University of California. Well, University of Michigan Ann Arbor is about $15 dollars per month less—about the difference of a pizza per month. So starting with that simple comparison, we’re already near the bottom. But now, let us look at what those dollars will actually buy. I used a tool available to anyone on CNNmoney.com, a comparative salary calculator, to try and understand the differences in cost of living between counties in California and the areas represented by the Comparison 8. And what I found was pretty shocking. 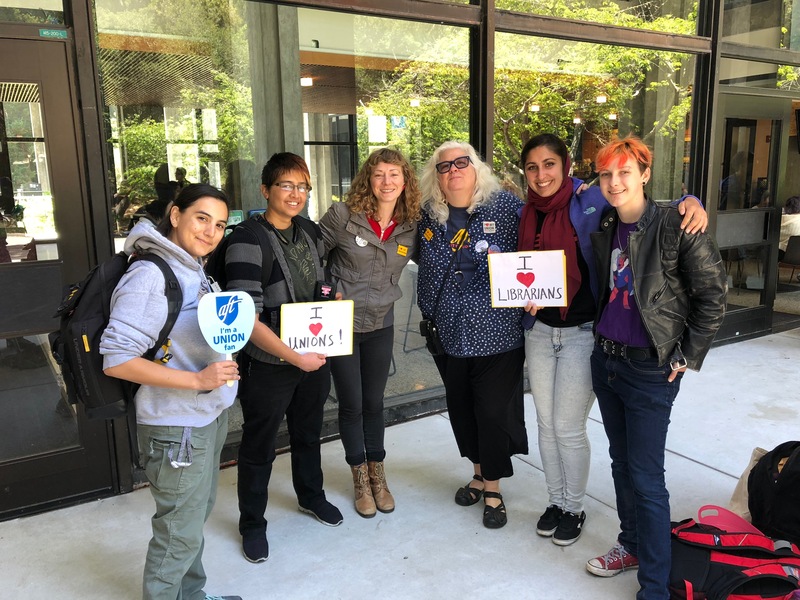 When one accounts for the differences in purchasing power and the cost of living, librarians at the Comp 8, at the entry point of beginning salaries, make a lot more. This graphic shows what happens when you plug a Comp 8 starting salary into the calculator and ask it to show that salary’s equivalent if it were adjusted for California. 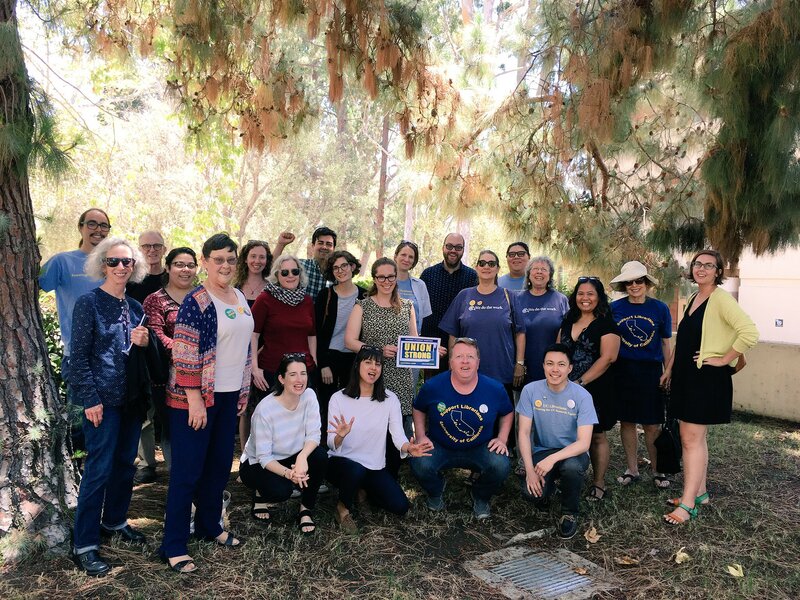 For this, I calculated an average of results across the Bay Area, Orange, Los Angeles and San Diego counties, where the majority of our members reside. The numbers you see on the map represent how much more a starting librarian makes at any given Comp 8 campus, once you account for the purchasing power of that salary. 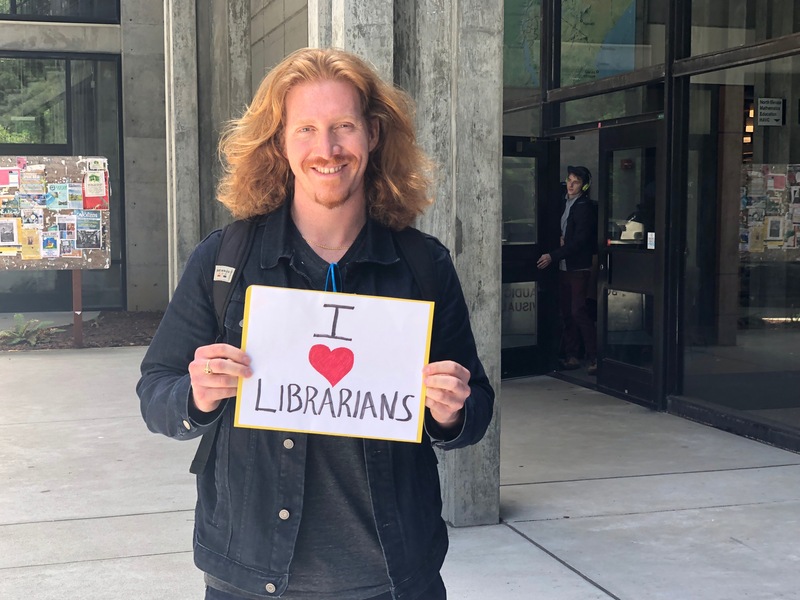 For example, at the University of Illinois Urbana-Champaign, a starting librarian monthly salary is about $4,600 dollars per month, or $55,000 dollars a year. Already definitely more than the UC. But what happens if you take that salary, and calculate that salary’s equivalent in California? According to the online calculator, that is the equivalent of around $90,000 per year in California! What this means is that if you want to take apples and oranges, as the Comp 8 exercise kind of forces us to do, and make them apples and apples, by accounting for the cost of living, Illinois is essentially paying their entry-level librarians the California equivalent of $90,000 per year. And starting professionals at the University of California don’t even crack $50 grand. There’s something else interesting about that number. 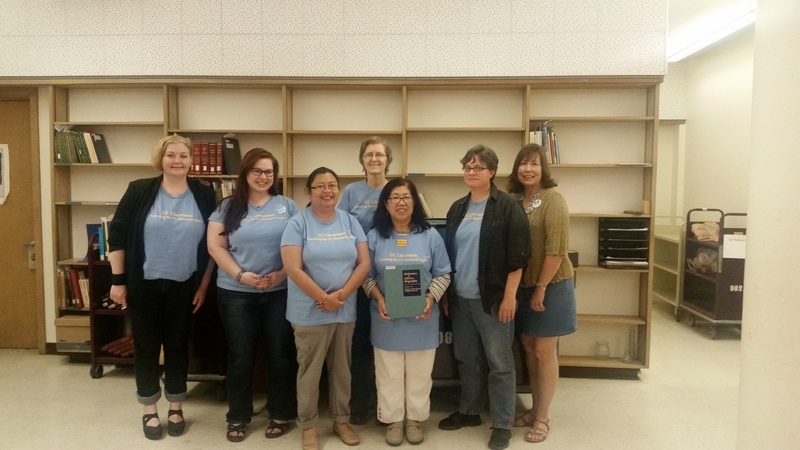 The University of Illinois has kept up with what librarians were worth back in 1977, while the University of California has fallen disgracefully behind. In fact, the only campuses in the Comparison 8 who even function, dollar for dollar, as a comparison are Harvard and MIT, two private, exclusive, institutions in Cambridge, Massachusetts. This is because the Boston area is an expensive place to live. 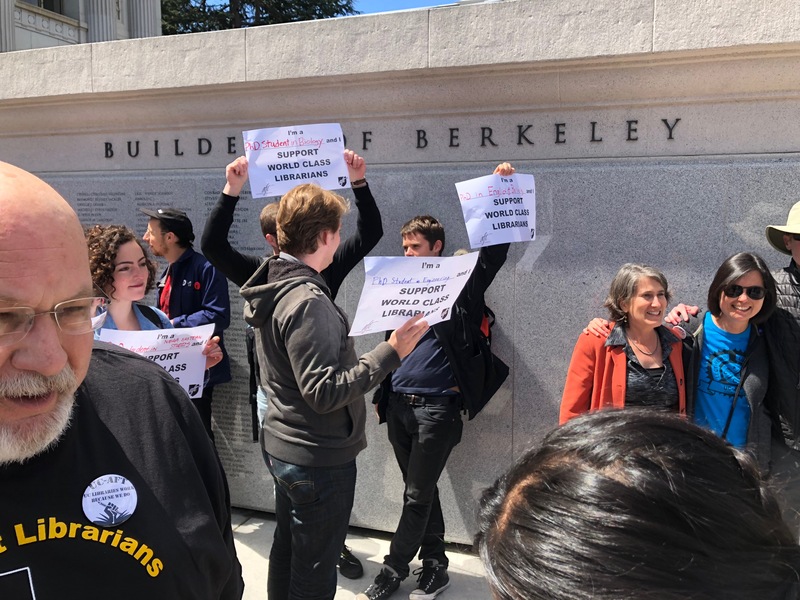 However, even they pay their starting librarians more—according to self-reporting and salaries I found included in open job postings, both Harvard and MIT pay their entry-level librarians at least $6,000 thousand dollars a year more than the University of California. These numbers show how the UC simply isn’t keeping up. So I hope these numbers help you understand where our modest proposal for a 20%-plus raise come from. 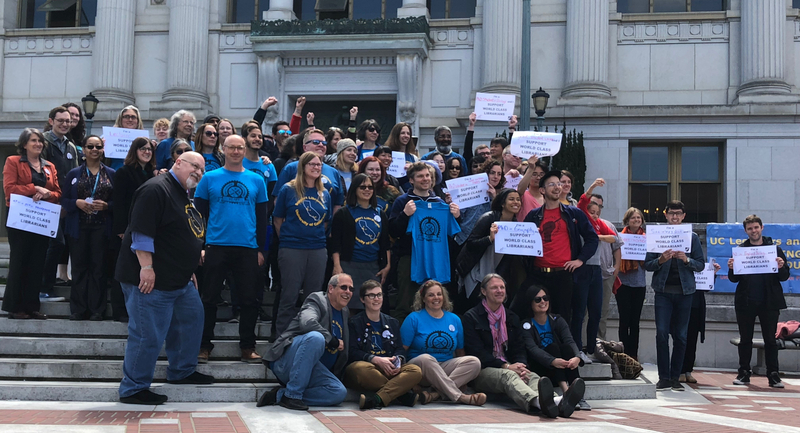 This amount is simply an effort to close the gap between UC librarian pay and the compensation afforded to our peers—the California State University System, and the librarians of the Comparison 8. How we want this distributed over a new contract is the focus of the next part of this presentation. Though I understand contract length is a separate article, we’re starting off with a proposal for a three-year contract, and this is how we want the raise distributed. Please refer to the summary at the front of your packets, and the first sample salary table, to see this information outlined in writing. [Slide 10] I hope I’ve demonstrated the extreme pain point for young professionals joining the University of California. 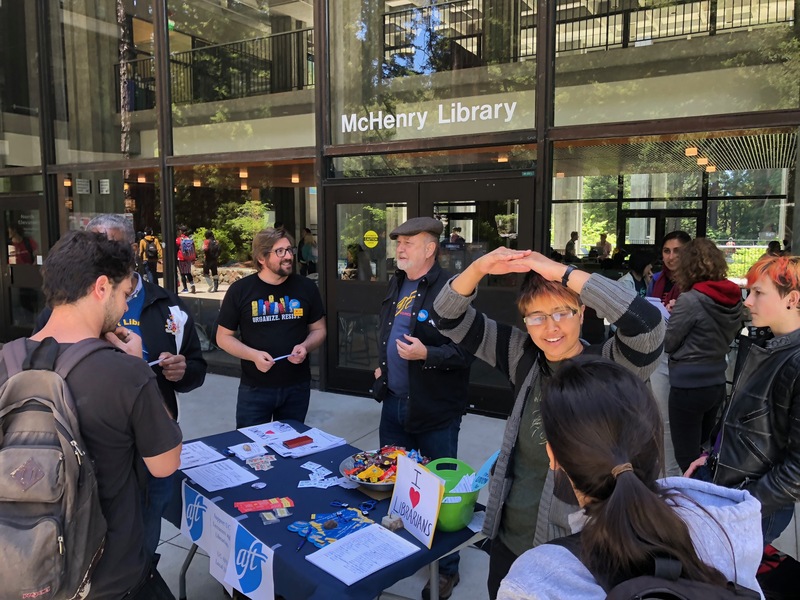 In fact, beginning UC librarian salaries ranked 72nd out of 114 peer institutions that self-reported compensation levels to the Association of Research Libraries in 2015. We hope to address this issue by first requesting that a flat amount of $3,500 dollars is added to the salary schedule at every annual point on the scale. The change should be effective as soon as possible following contract ratification. This should provide some immediate relief to librarians, whose pay has not kept pace with inflation since 2013. 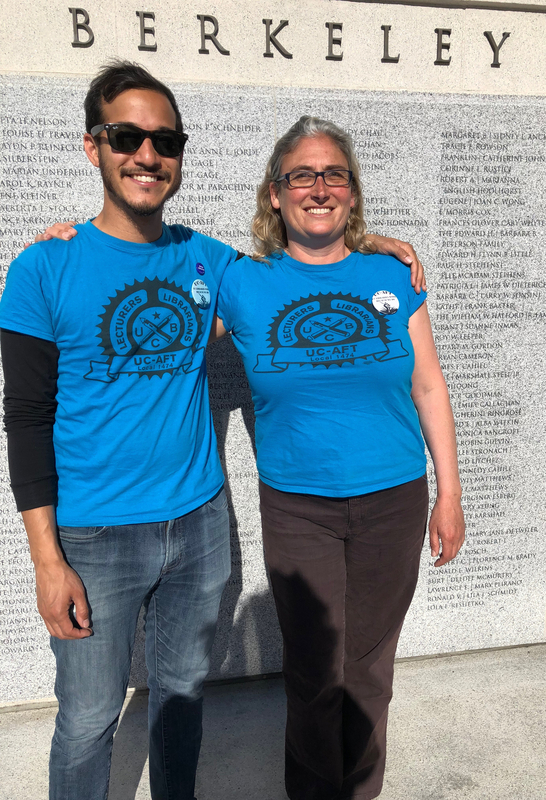 We’re requesting this approach, rather than an initial percentage-based general range adjustment, because we want future gains to disproportionately have a positive impact on Assistant and young Associate librarians. We propose that this initial increase is followed by two subsequent 8 percent (8%) annual general range adjustments on July 1 of the following two fiscal years. I’ve outlined what this might look like with a sample pay scale that is included in your documents. 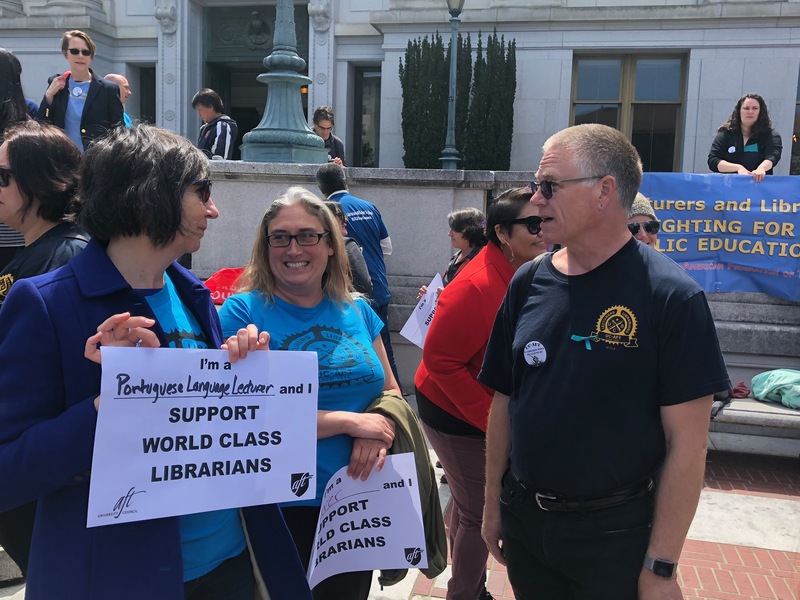 You’ll see that the total pay increase with this model will range from about 25% for assistant librarians, to around 22% for full librarians. 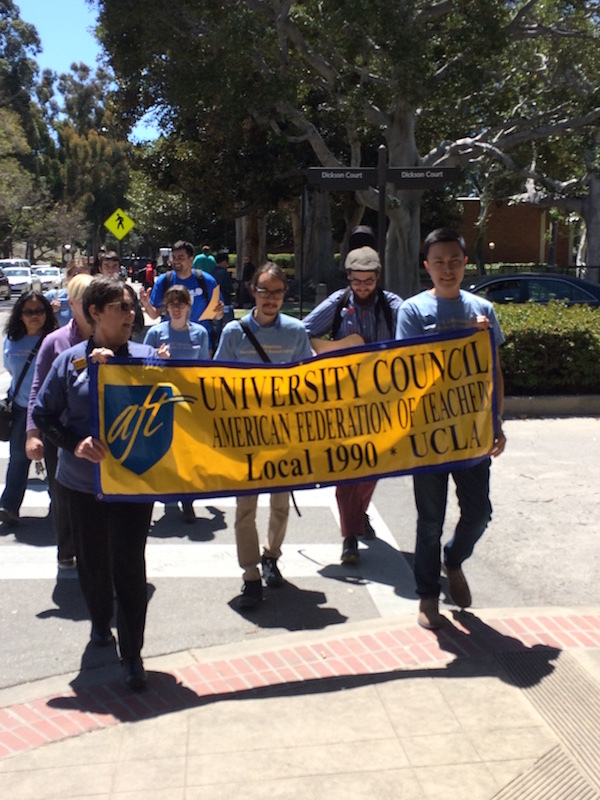 Again, our goal is to help narrow the gap between UC pay and the pay of other institutions. But our proposed changes don’t end here. 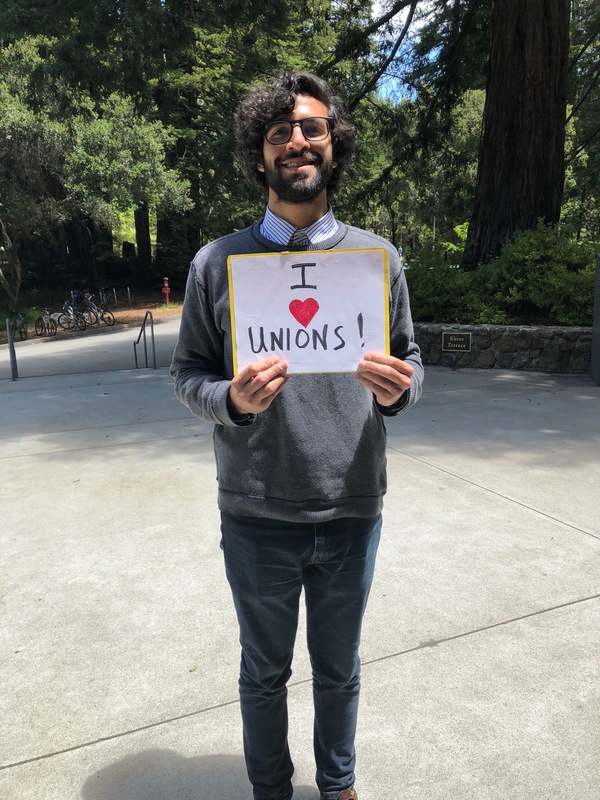 My colleague Adam is now going to propose updates to our pay schedule that are critical to resolving shortcomings in librarian valuation and compensation. We’ve shown the need to help Assistants and Associates by bringing salaries within the ballpark of market compensation. 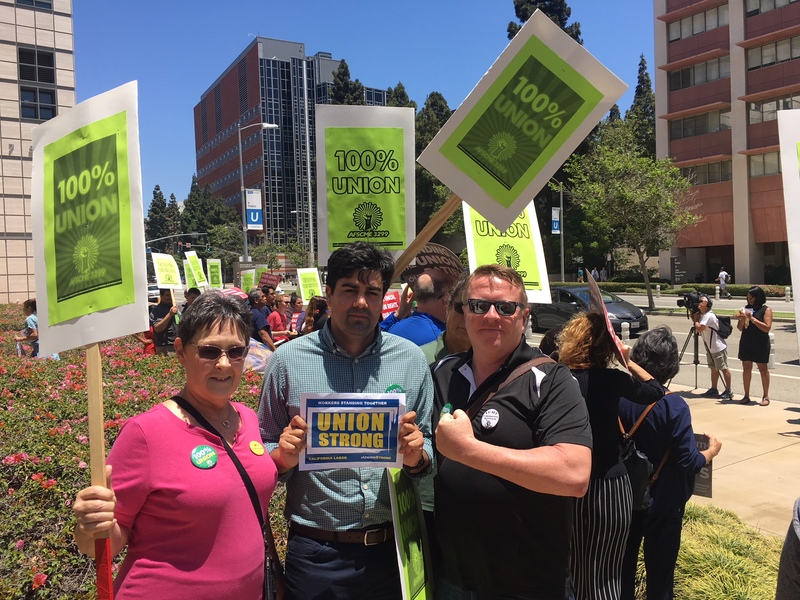 But there is a problem at the other end as well: out of a total membership of 349 people, 49 are maxed out or one more review cycle away from sitting at the top of the pay scale. In fact, the number of librarians maxed out at the top of the Librarian rank is going to double within one review cycle for those near the top. Many librarians have been parked at the top of the scale for a decade or more. 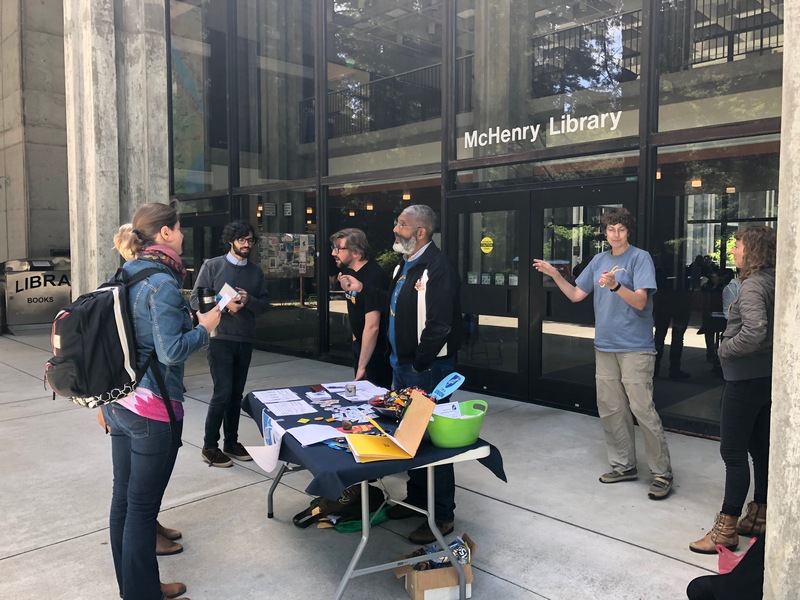 Some of this is due to the local inequities that develop as individual campuses attempt to circumvent our uncompetitive salary scale by appointing early-career librarians at salaries reserved for mid- and advanced-career librarians. The integrity of our salary schedule is at stake. 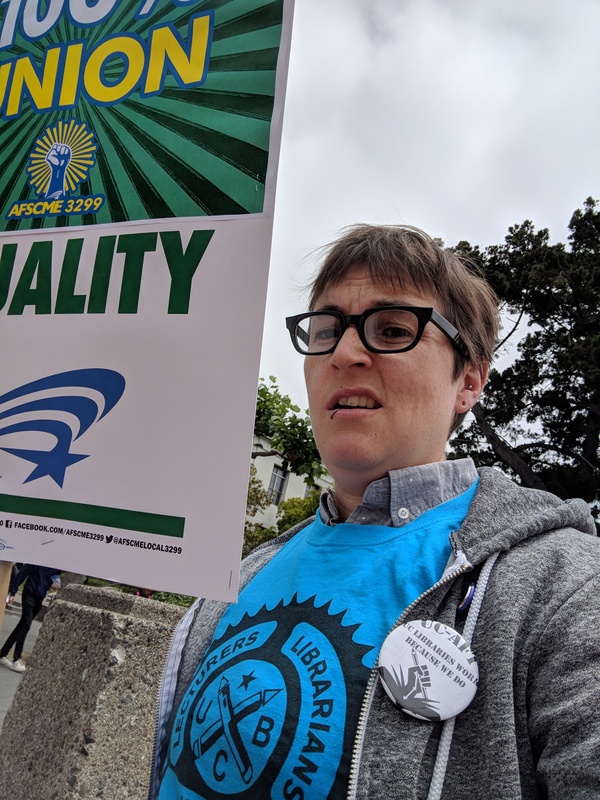 Because salaries are so low, incoming librarians, their hiring officers, and ULs have been successfully able to advocate for higher initial rank and point placement to an unprecedented degree. This graph shows how arbitrary years of experience have become in determining initial placement on the scale. It shows data gathered from an RFI requesting years of experience at time of hire, and the candidates’ salary placement. This scatter plot shows almost no correlation within the Associate ranks between salary and experience— over time, resulting in full Librarian rank placements for folks in their 30s. This means the problem of “topping out” is only going to increase in the future. 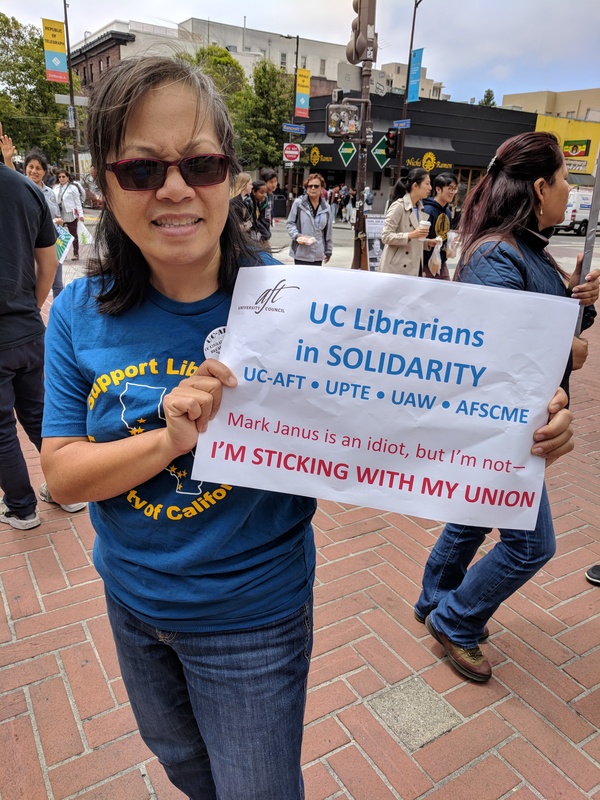 It’s not that UC doesn’t hire librarians with little or no experience—we just rarely actually hire them in at the Assistant rank, because the salaries are too low. Artificially low salaries have effectively broken the way a rank and schedule is supposed to function over the course of a career. If the salaries were more market rate throughout all columns, people would be more appropriately placed according to their years of experience, which allows for the scales to support a full career arc. 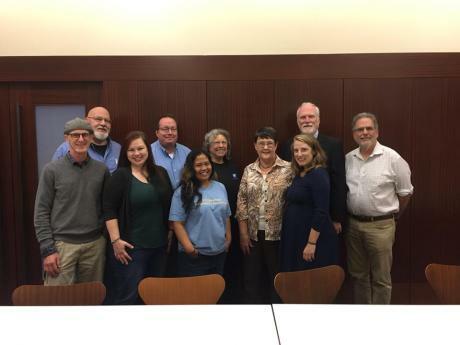 Thus far the University has not been willing to resolve the compression problem at the top of the scale by approving above-scale merits for deserving librarians, although nothing in the current contract precludes such merits. 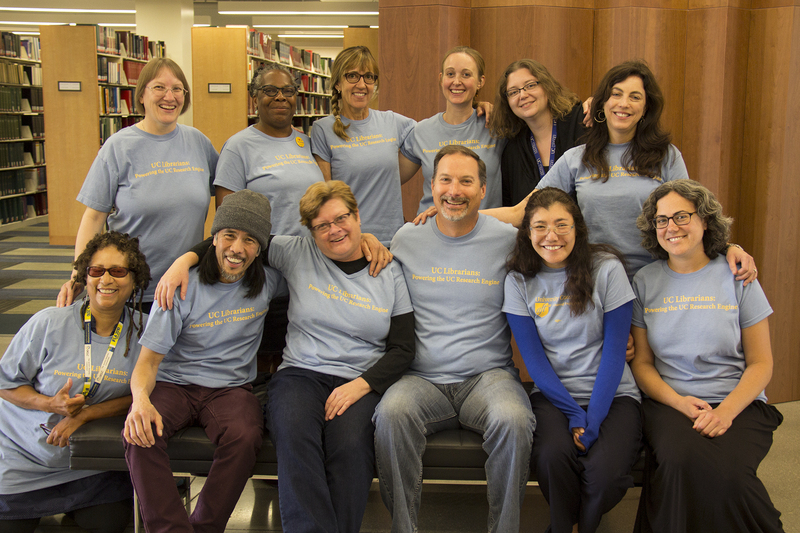 This means that the peer review process, the merit system, which is very time-intensive for many people and was intended, by the Regents, to recognize librarians not only for excellence in their jobs but in their significant contributions to the profession and to scholarship, is utterly moot for one librarian in seven. Specifically, it impacts those from whom we ought to be demanding the most: our seasoned and experienced professionals with the the highest levels of responsibility. 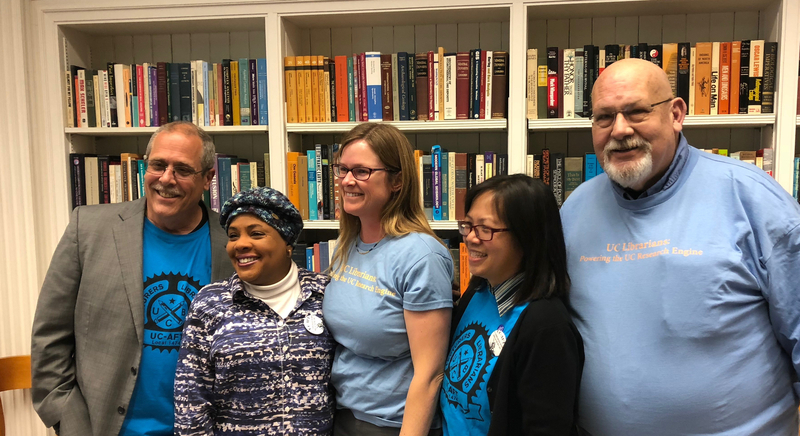 Therefore, we propose to the extend the Librarian rank column by twelve salary points, providing our senior colleagues the opportunity for meaningful merit advancements to reward outstanding performance and superior contributions. What this might look like is shown on the second sample salary table in your packet. 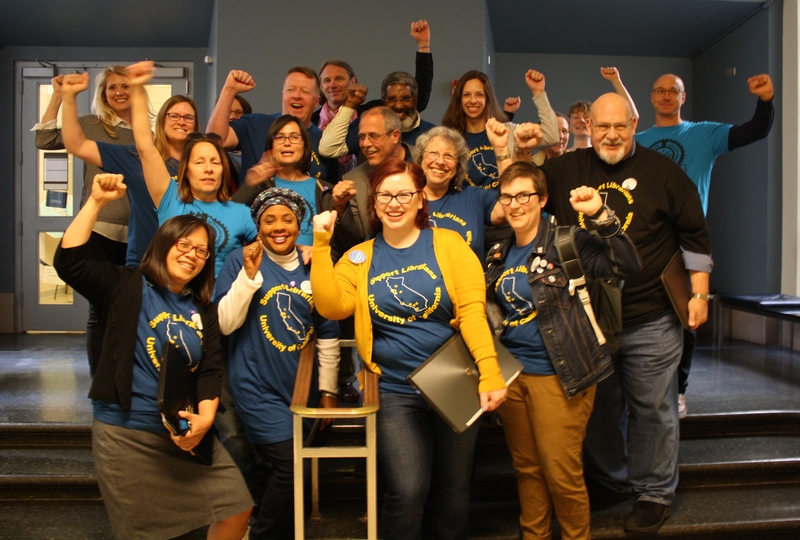 This extended scale would provide an incentive for that 14% of the bargaining unit currently sitting on the top to continue to provide the highest level of service to the University, the profession, and the world of scholarship. 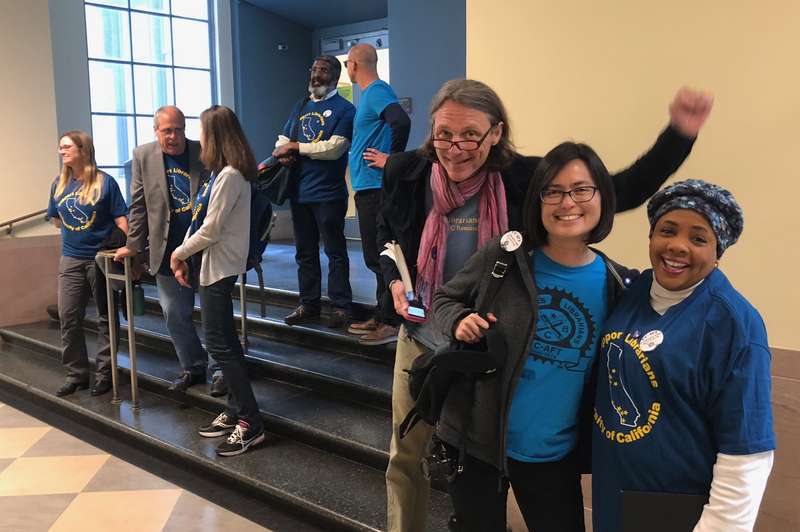 This extended scale would also bring librarians back in line with the other UC academic appointees with rank/step advancement, such as ladder-rank faculty, where the full professor rank contains nine steps. 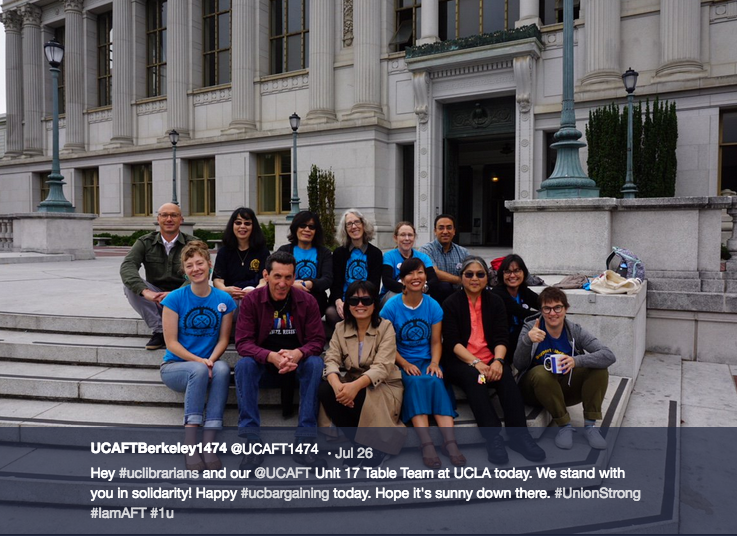 First, because re-opener bargaining in 2016 was very demoralizing for members of the unit, we seek to add a “me-too” clause that guarantees that the University will match to represented librarians any gains it awards to non-represented academic appointees during the duration of the contract. 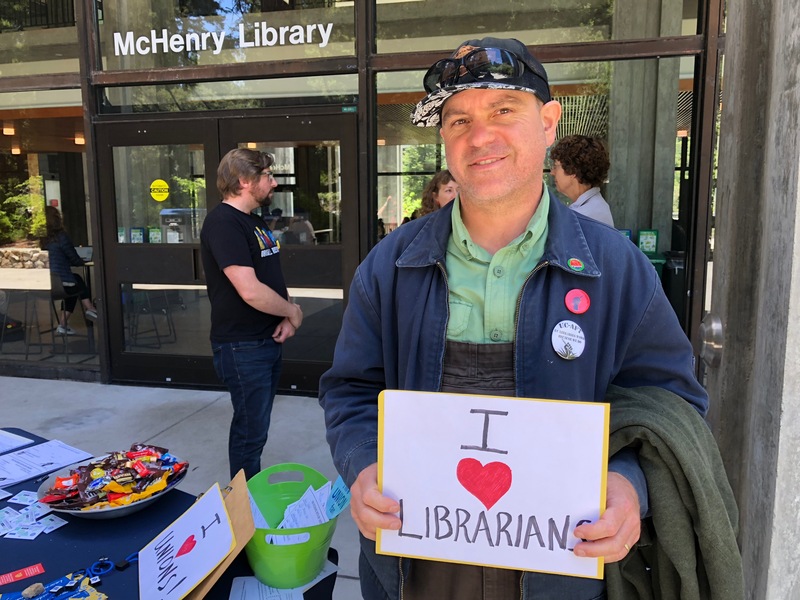 “An individual who is promoted will receive a one-time increased of at least two (2) three (3) salary points above their previous salary amount at the Assistant Librarian rank; and at least three (3) points above their previous salary amount at the Associate Librarian rank. These numbers are in no way abstract. 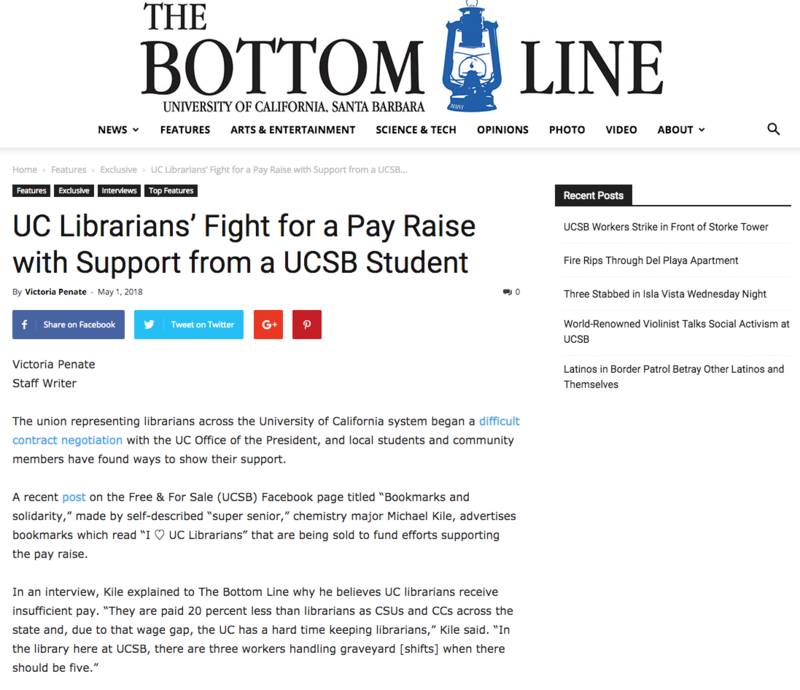 They are forcing librarians to make hard choices about the sustainability of a career with the UC. As a reminder, between 2013 and 2018, the duration of our current contract, according to the State of California’s website at CA.gov, the average CPI across the state increased 12.6%. 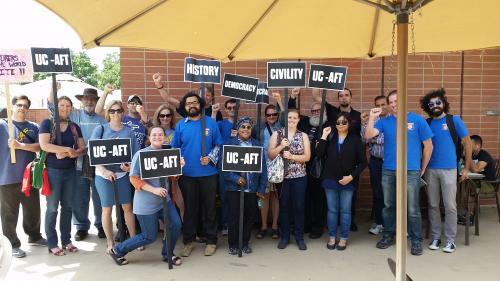 The CPI rose 13.4% in Los Angeles, and almost 19% in the Bay Area, where the majority of UC librarians work. We’re talking about increases in the cost of living that not only surpass any gains in the last contract, but gobble up the value of merit increases as well. 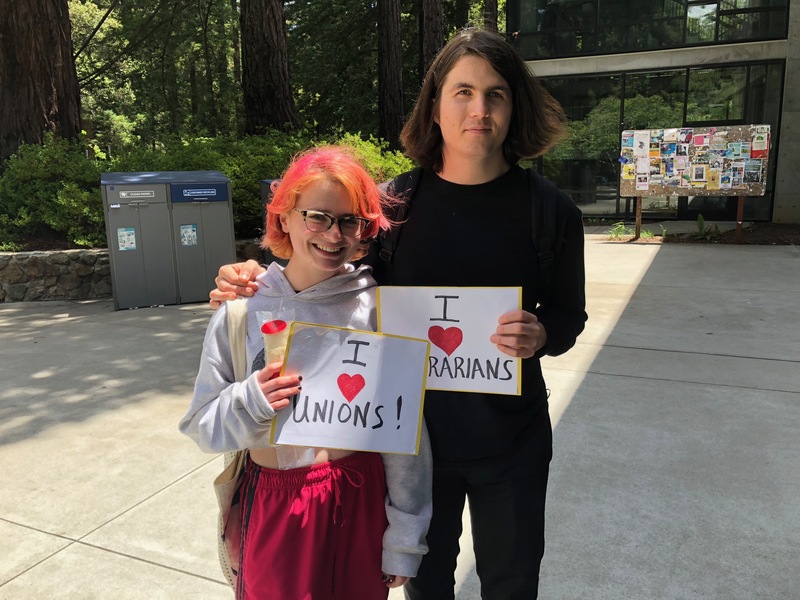 This all would lead you to think the University of California is seriously neglecting it’s valuation of libraries and the work that we do. But that’s not true. 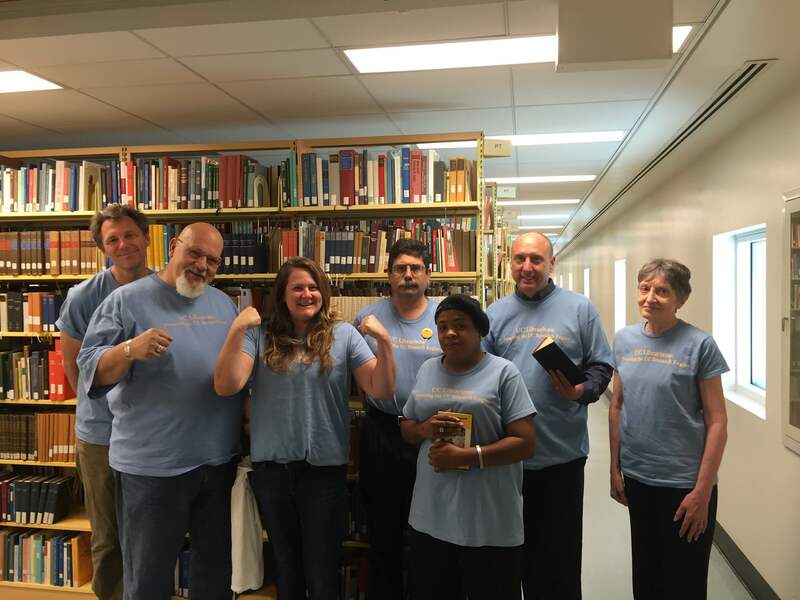 There’s one group within the Library that hasn’t fallen behind. In fact, they’ve been treated to pretty hefty raises over our contract period. Who might that be? 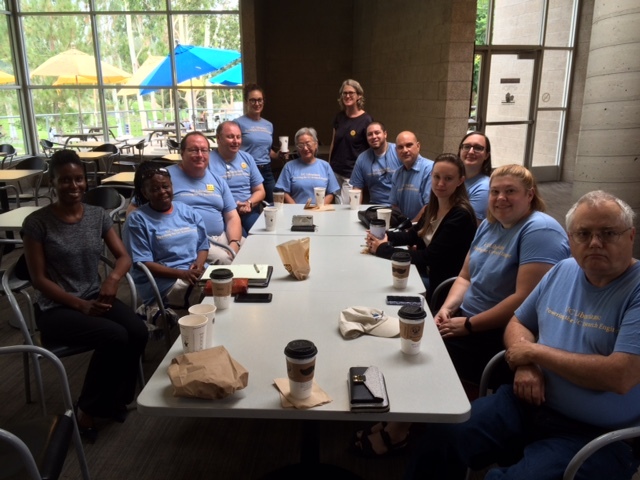 Our Associate University Librarians and University Librarians. 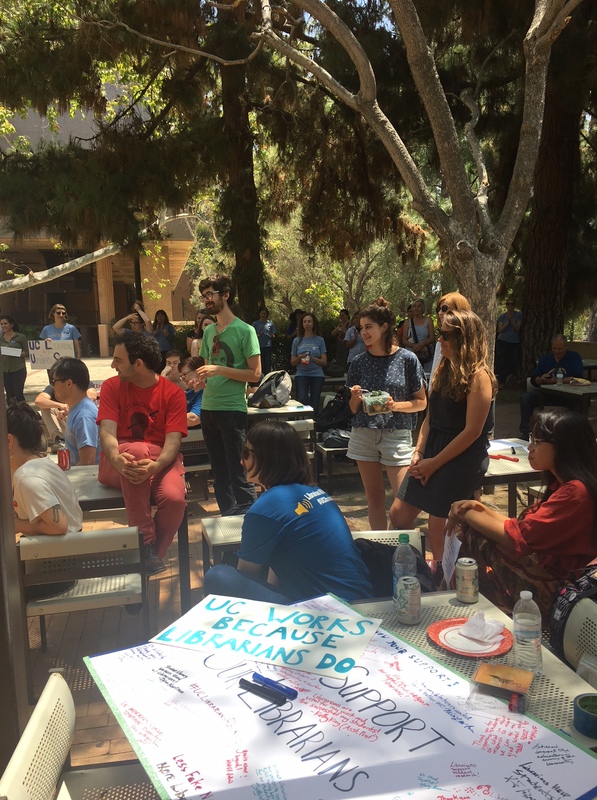 They recognize that work in the UC libraries is essential, complex, and only getting harder. They recognize that the cost of living keeps going up, and that they deserve better compensation. 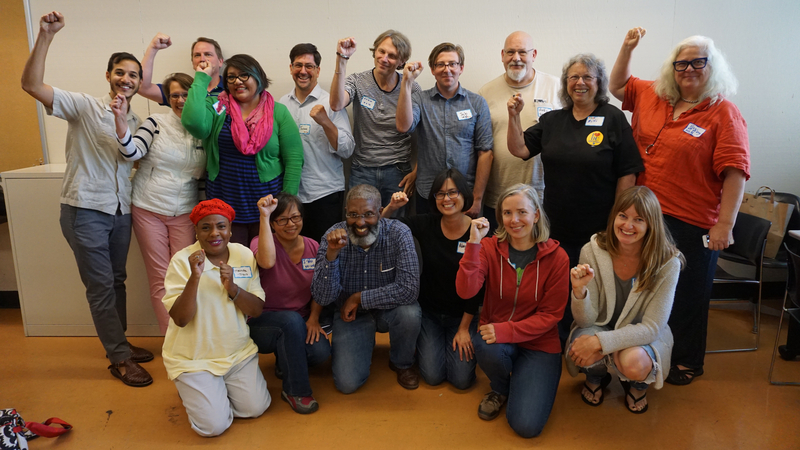 Collectively, our administrators have been rewarded with an average salary increase of 32% over the last 5 years. 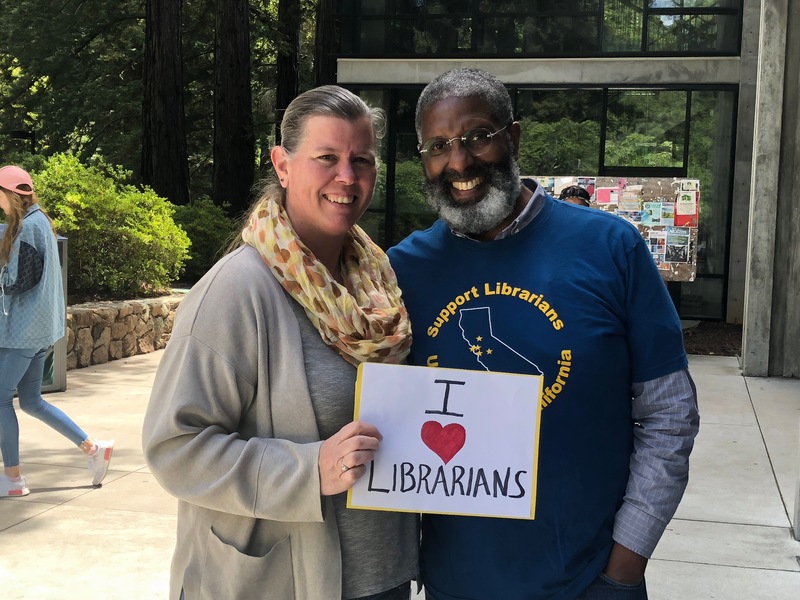 In fact, the librarians’ request for an approximate increase of only a little over 20% seems downright modest in comparison to our administrators. 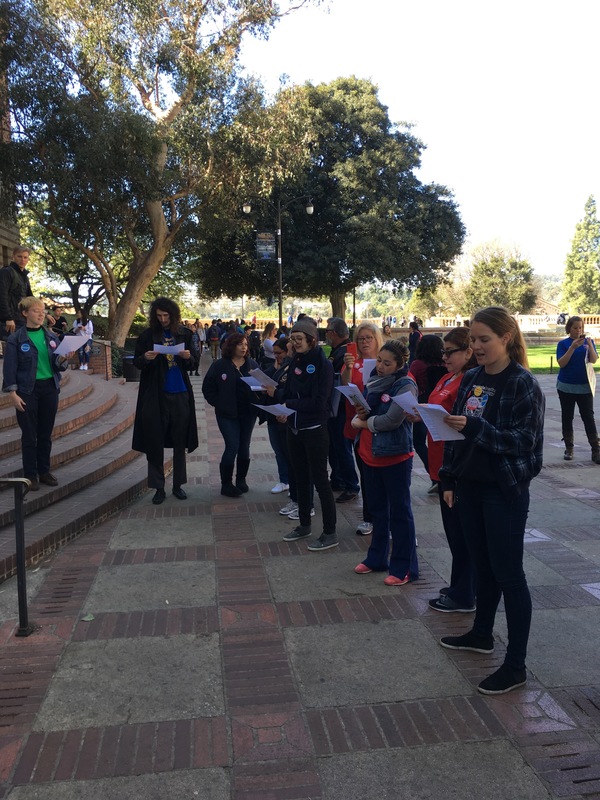 On the screen you’ll see the recent increases awarded to individual University Librarians, or, if the position changed hands during the contract period, what the UC thought recruiting someone new to the position was worth. UCOP can’t tell me that our ULs and AULs are worth 32% increases, and the rank and file librarians are worth 8%. 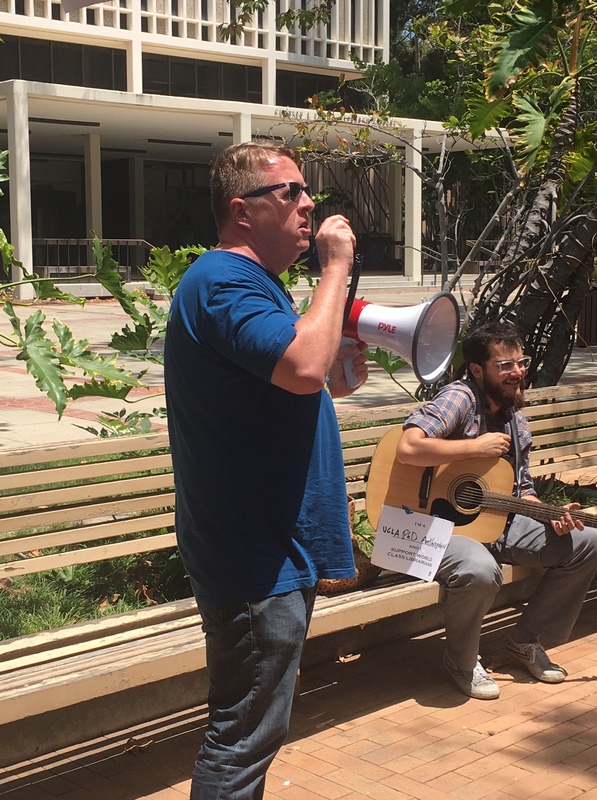 I couldn’t find an apartment to rent in San Diego, despite perfect credit, because my pay as an Associate Librarian didn’t meet typical landlord requirements that a tenant’s gross monthly pay was 3x the monthly rent. I have 2 kids, so I need a 2 bedroom. 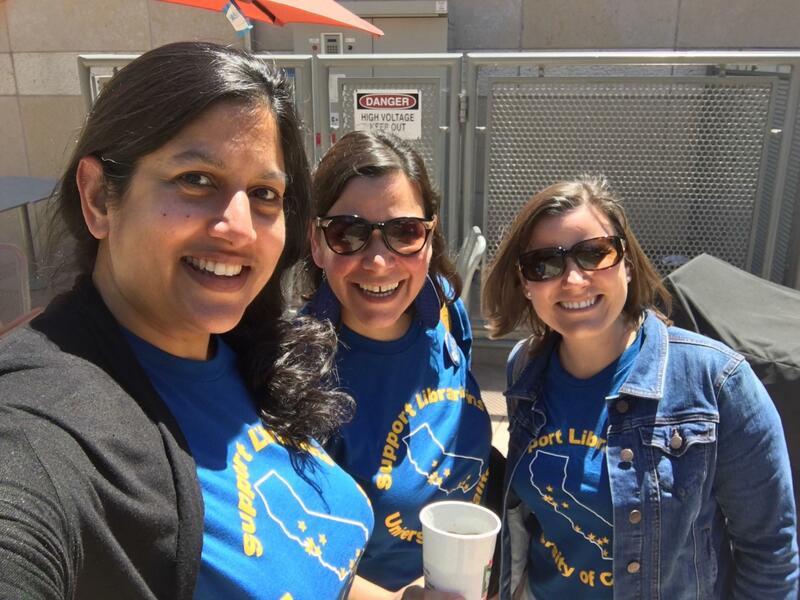 So, after leaving home at 18 and living independently ever since, for the first time, as a UC San Diego Librarian returning to California, I became a boomerang child and had to move back in with my parents for 2 years. I’m not the only one. 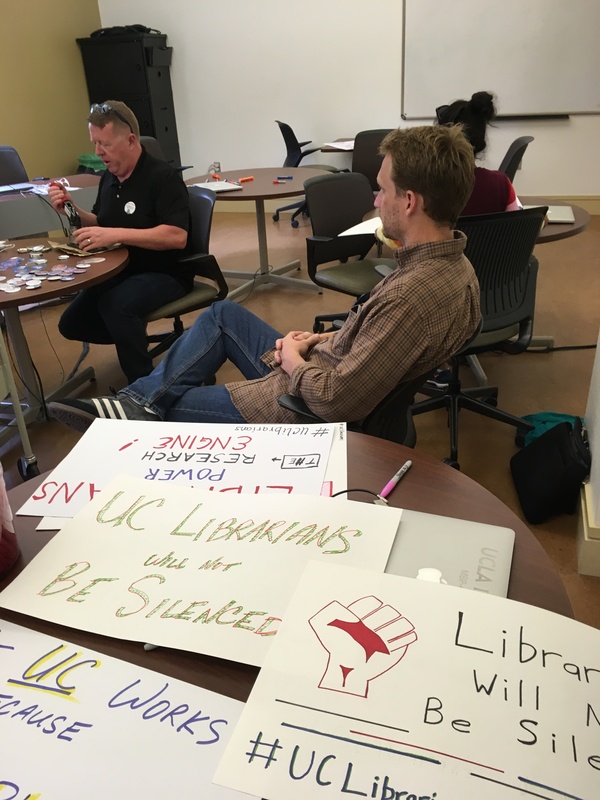 UC librarians work second jobs to afford their rent and repay their student loans. 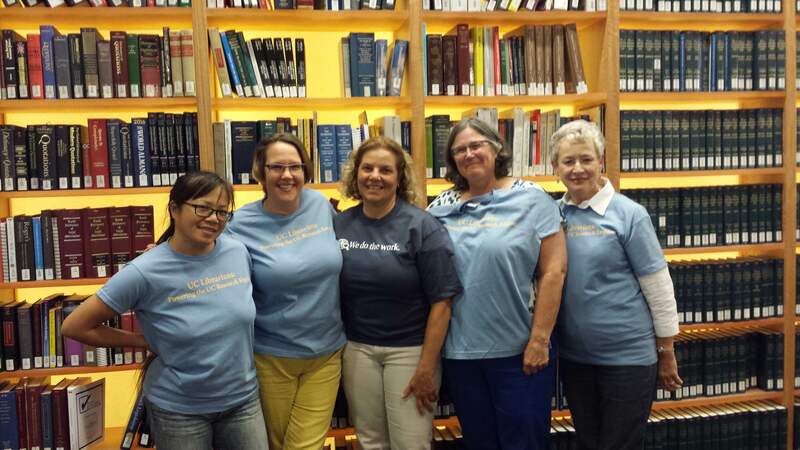 They work these jobs at night and on weekends following a full day’s work as librarians on our campuses. Another example: A new librarian, a young person of color at one of our Northern campuses, told me that when she was hired and was trying to negotiate salary, she was told that she ought to accept a lower salary as her supervisor was concerned that when it came time for her merit review, she wouldn’t measure up to the high level of excellence required and demonstrated by her peers. Cowed and made to feel less-than, she accepted a salary that she realistically knows will probably force her to be on the job market again soon, in a different geographic area. So I guess she is one of the losers, among the winners, on that scatter plot graph Adam showed you earlier. It’s too bad. It’s hard to make it in the Bay Area on $50,000 per year. 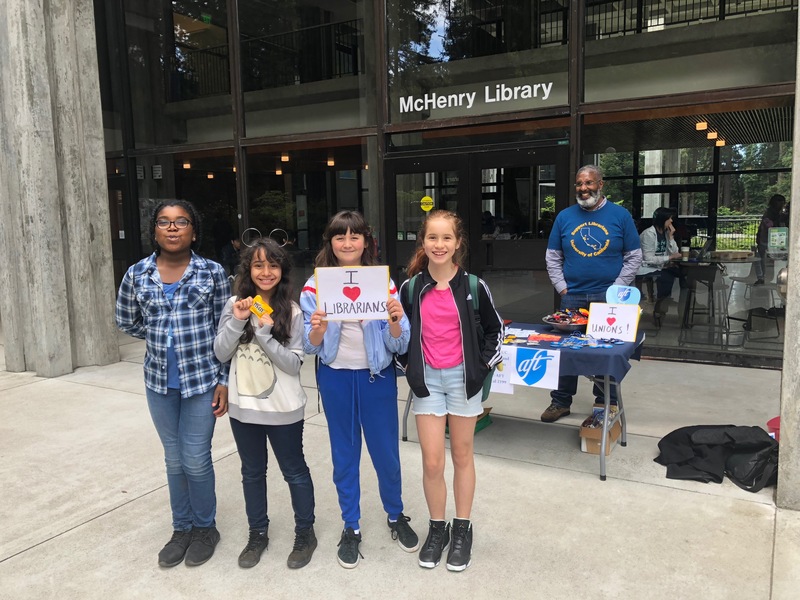 And, last, what do you do when you’re a fully ranked librarian, because you’ve had a great career, but you still have kids in elementary school? How does it feel to know you’re going to top out on the salary scale when you could realistically have 15 to 20 more years of service ahead of you? Plenty of our librarians could tell you. 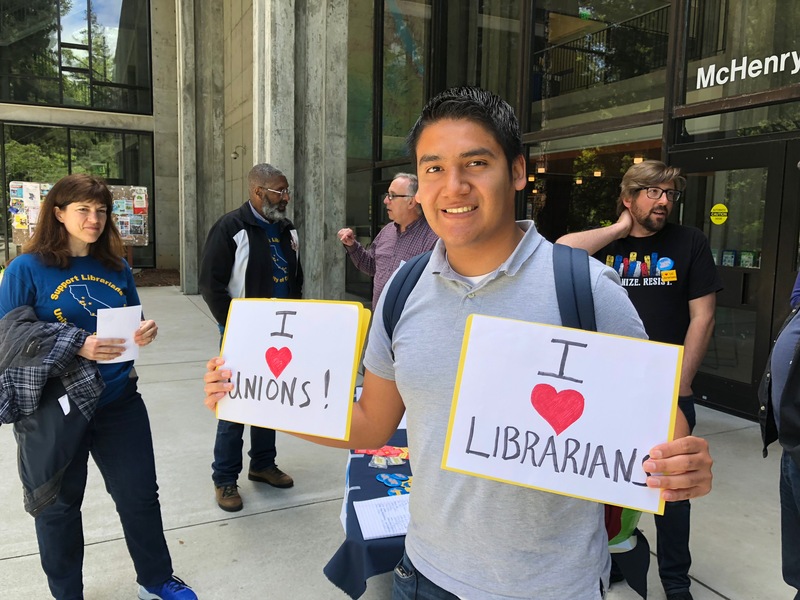 Over time, the University of California will not benefit from keeping librarian salaries so low. People in essential positions, or innovative new positions, will simply get reassigned to new job classification series to do librarian work, but get paid more. This is already happening on our campuses. It hurts the system in other, insidious ways. 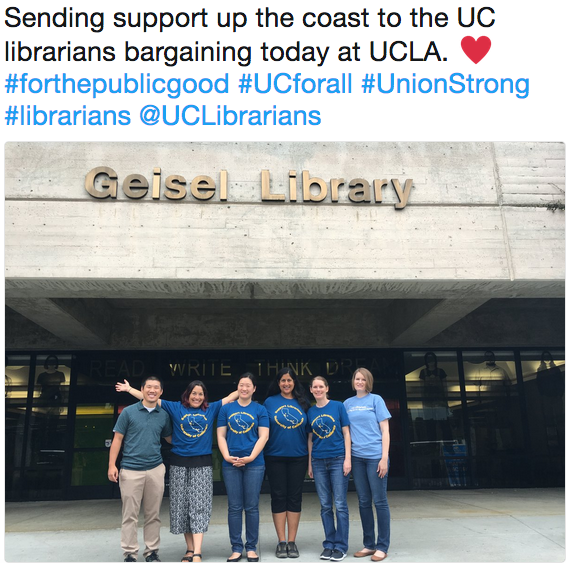 In order to recruit librarians though nationwide searches, ULs will take money out of their budgets to fund extra professional development as a lure for talent, and then that talent might leave when they find nothing is worth having to work a second job, or have no future in California. 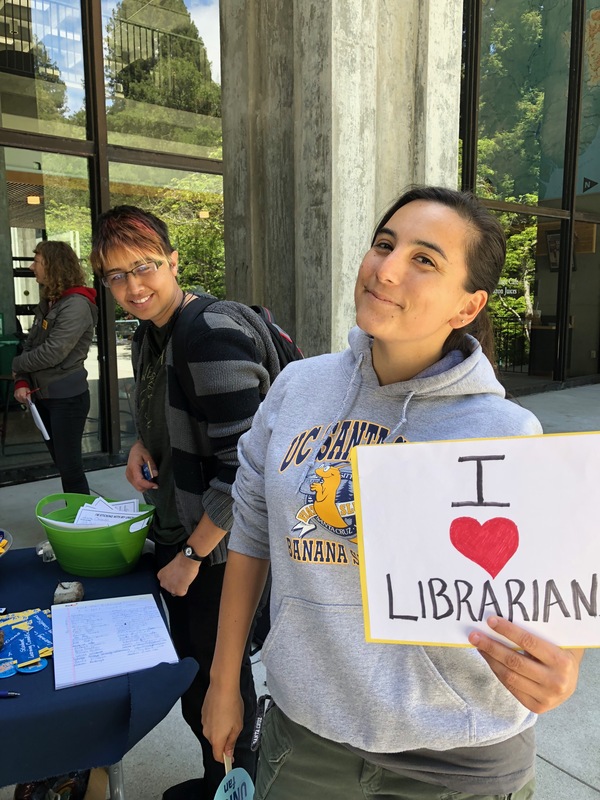 At UC San Diego, our former UL padded recent salary offers with as much as $10,000 in temporary professional development funding for individual librarians. What does this mean? 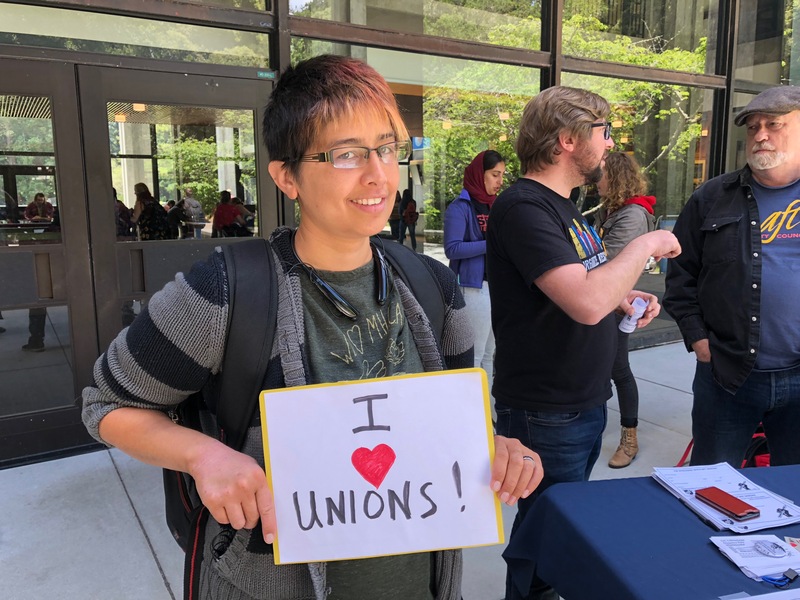 Someone spends the first few years on the job attending so many conferences and going to so many trainings that they are in the perfect position to be recruited away by another campus as soon as that money is spent. 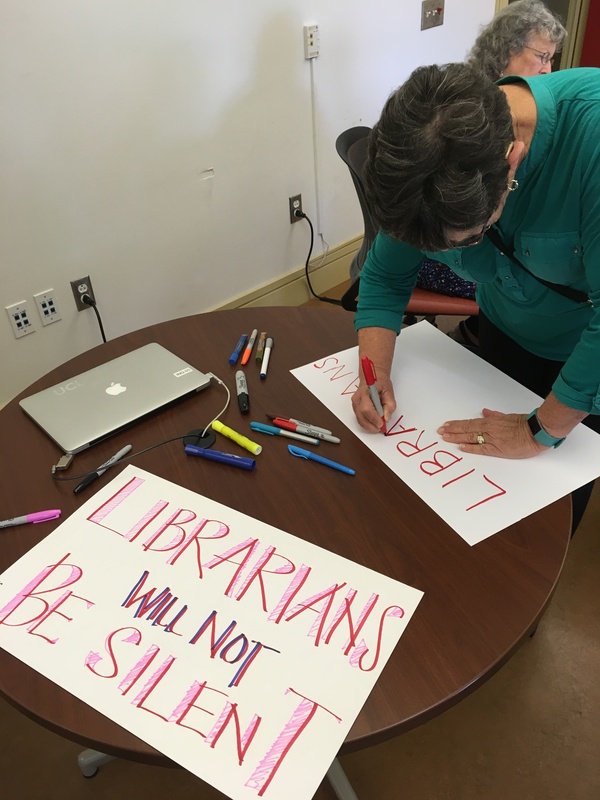 We’re asking for a fair, equitable increase that shows our value, and seek to close the gap with our peers in the field of librarianship. 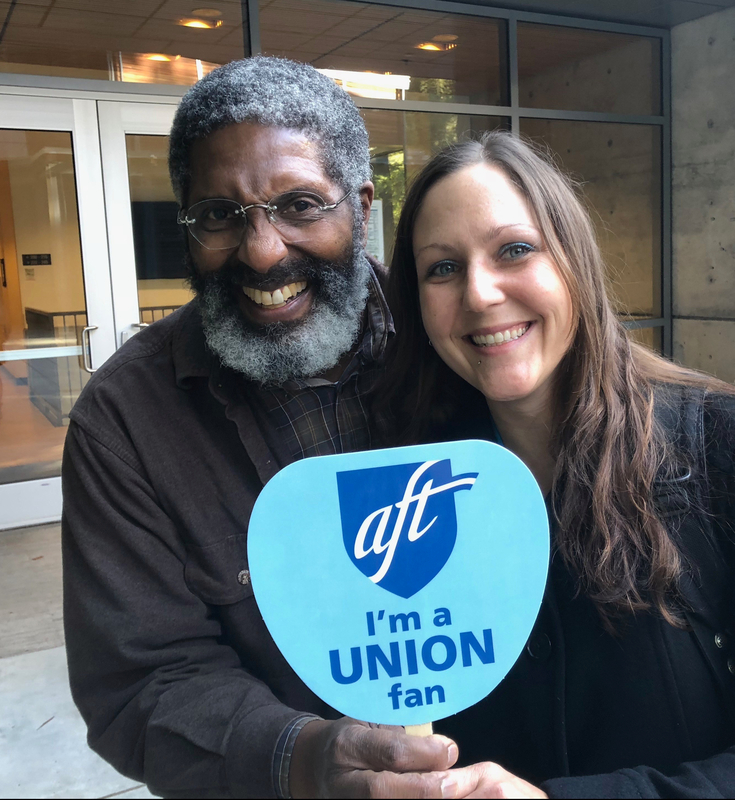 We want a fair distribution that helps dig us out of the financial hole that the current contract, soon to expire, has left us in. 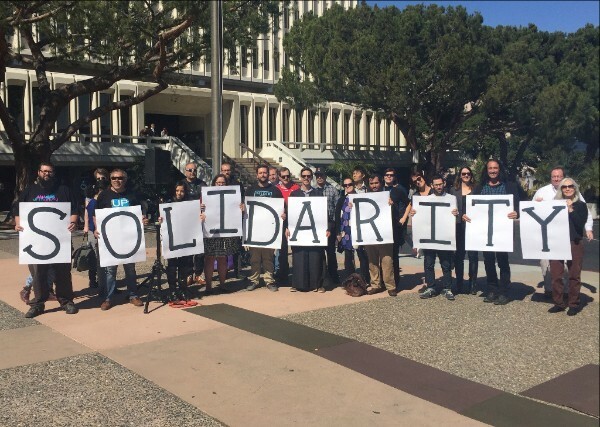 We ask for competitive salaries that acknowledge the reality of living in California. We ask you to close the gap, because numbers speak volumes. 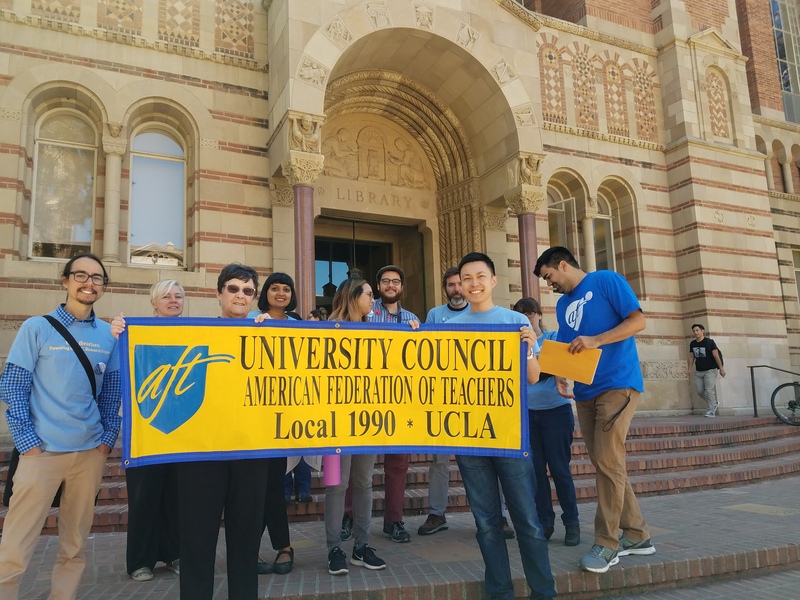 We welcome the UC’s response to this proposal. Thank you. Thanks for this excellent presentation. 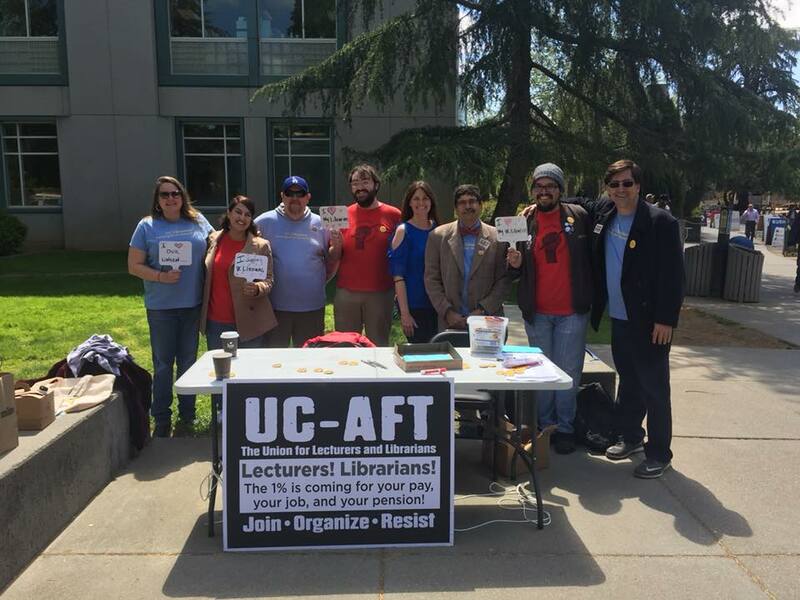 As a former UC librarian (affiliated library and Bancroft) who was UC Berkeley’s Unit 17 rep twice during the early 2000’s, I know how frustrating it can be. Our cost-neutral issues included PI status for research grants and access to UC housing loans. You make all the logical and persuasive arguments in the world, about common sense issues that cost little and make a huge impact on morale, and – zippo. Denied. Can’t do it. 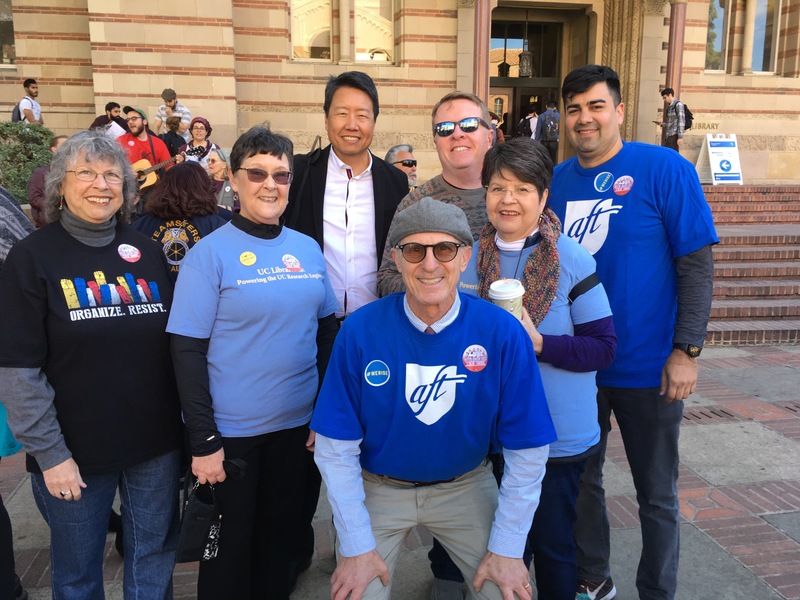 Things are even worse now since Governor Brown and the legislature have been strangling state funds for UC (forcing privatization and more bad choices). Keep up the heat, and best wishes.